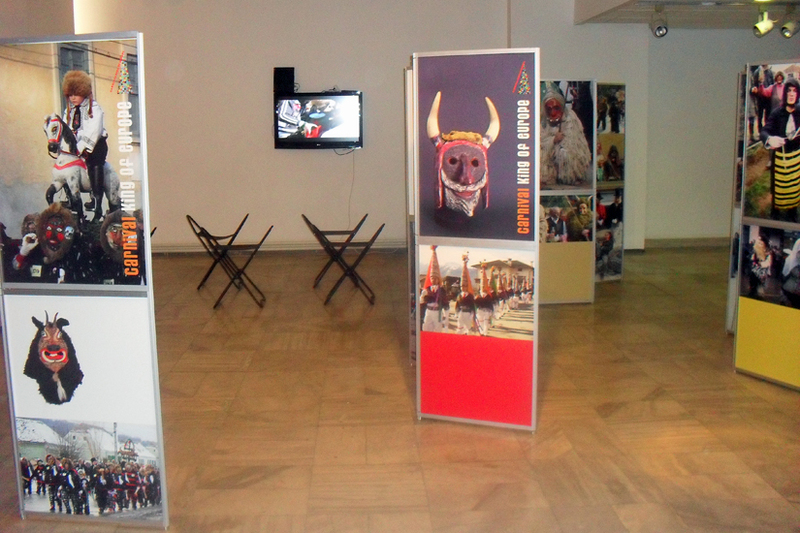 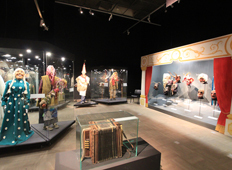 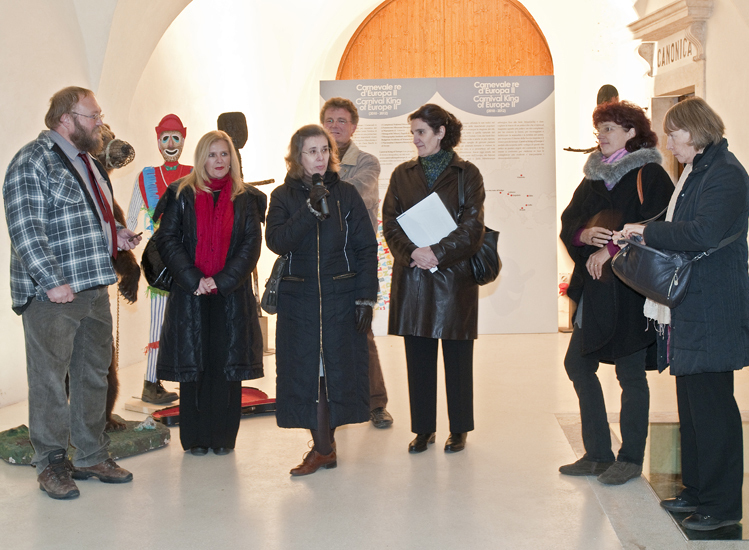 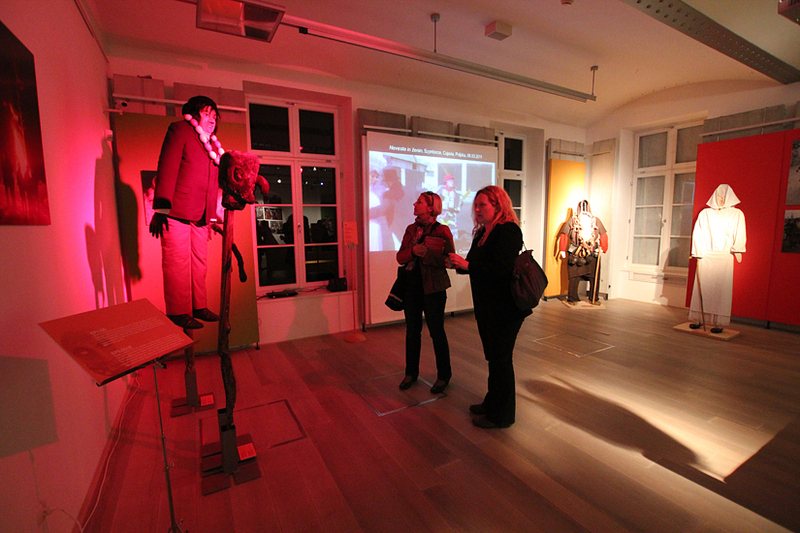 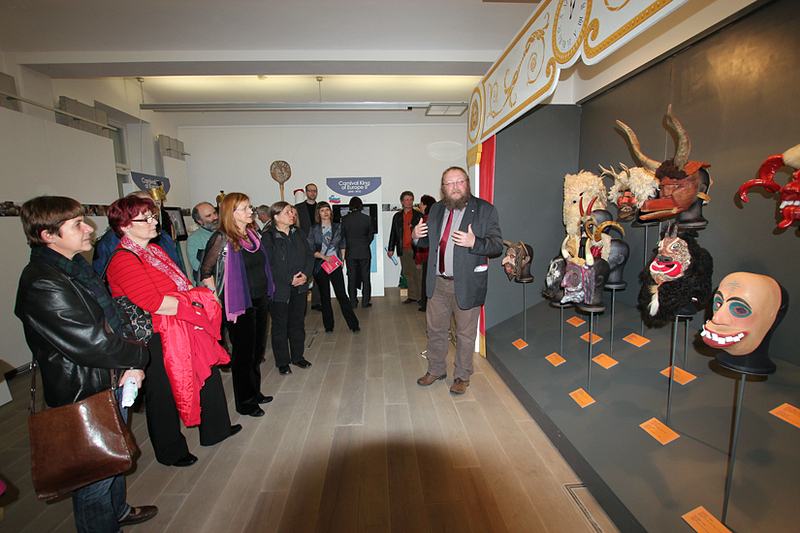 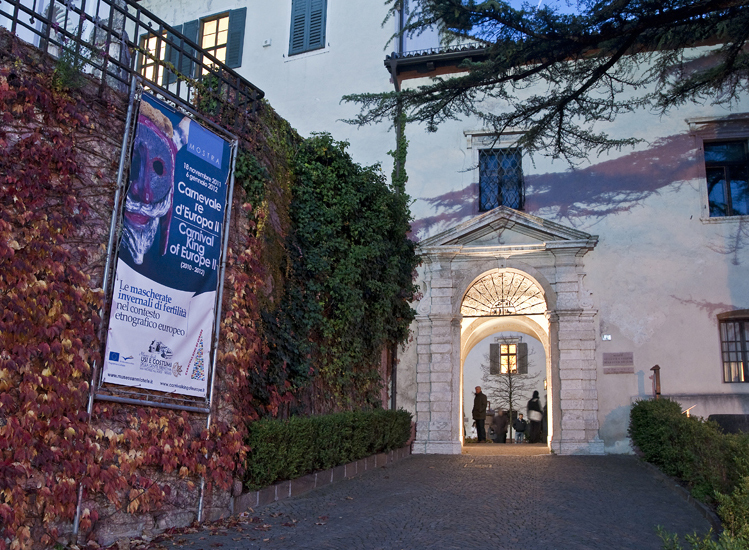 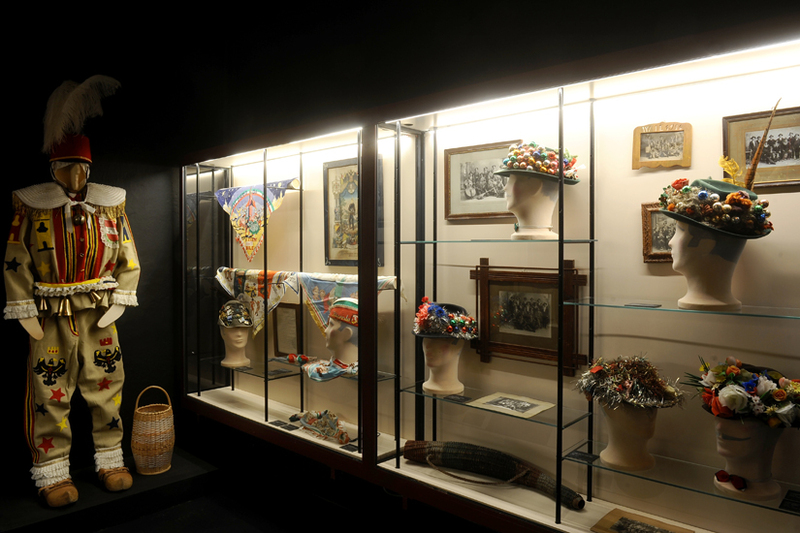 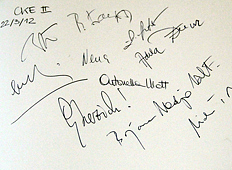 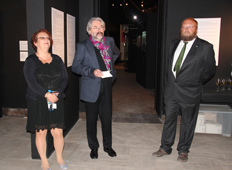 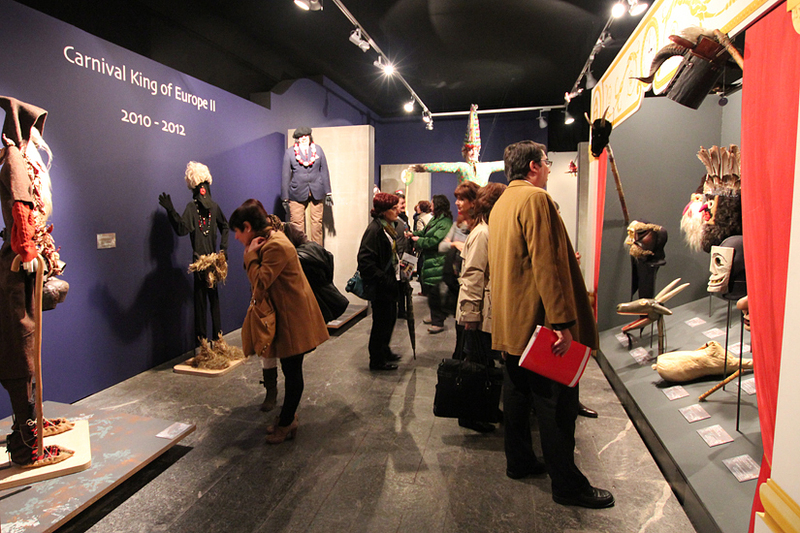 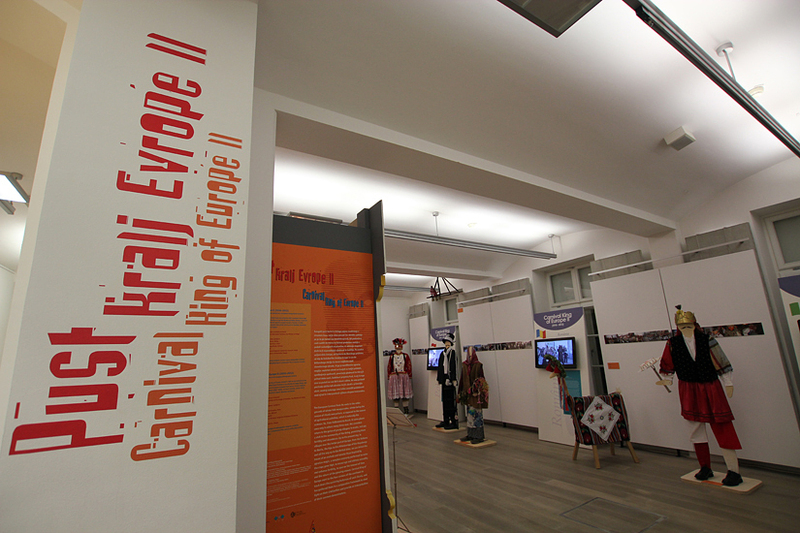 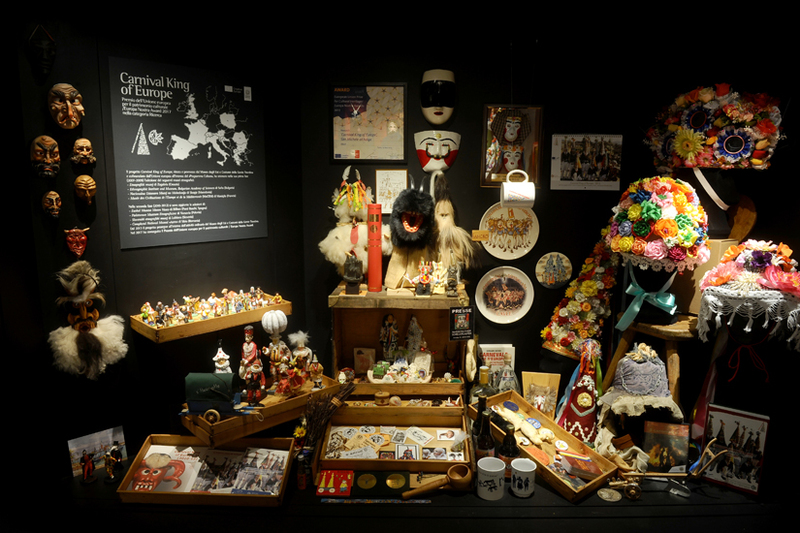 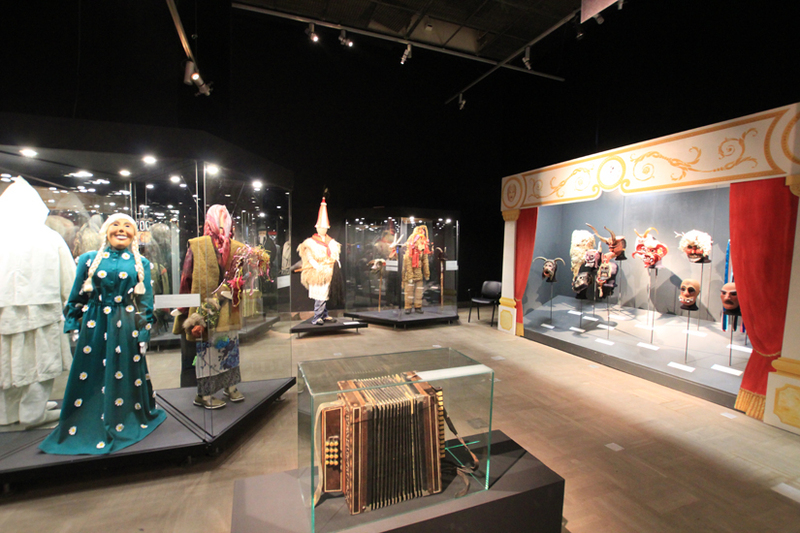 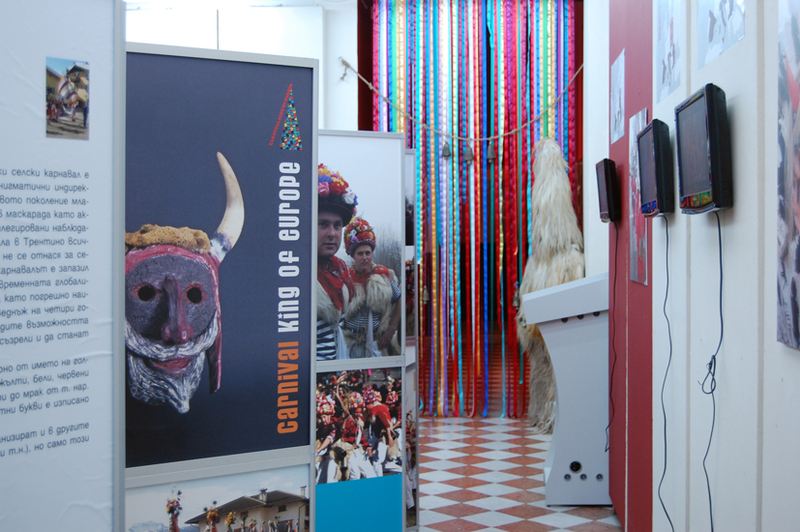 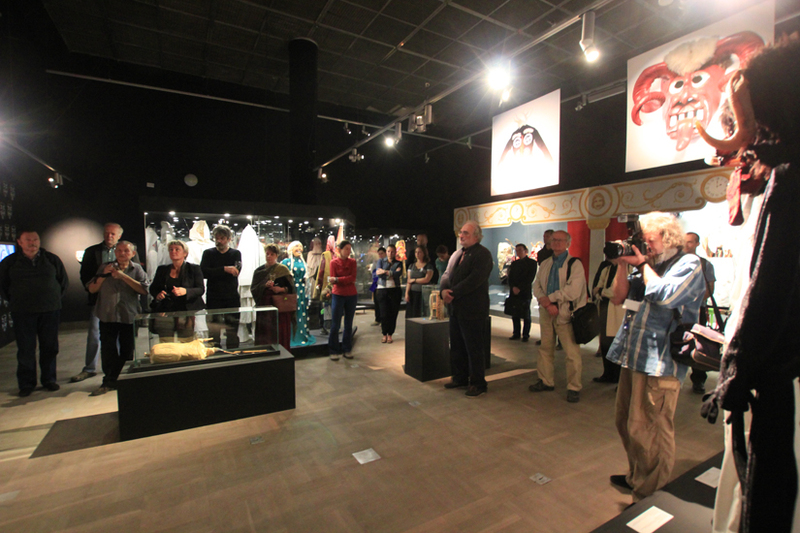 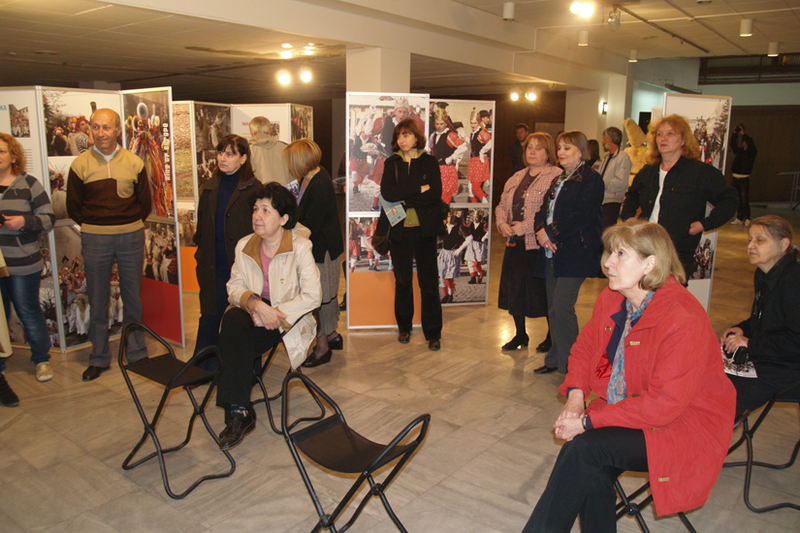 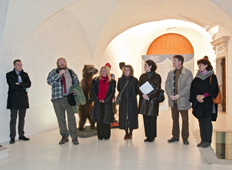 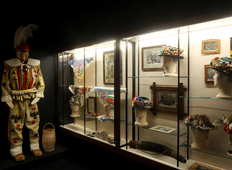 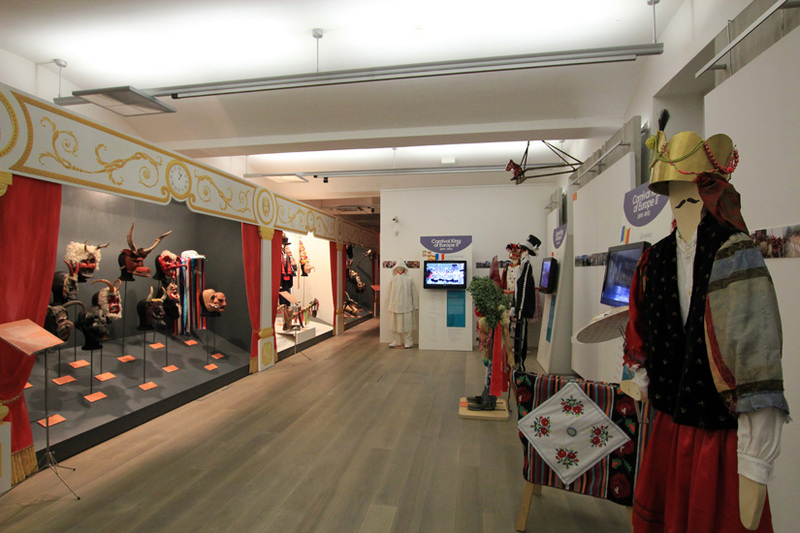 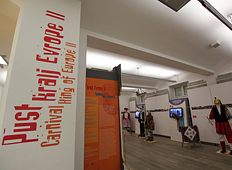 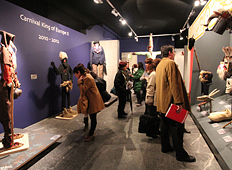 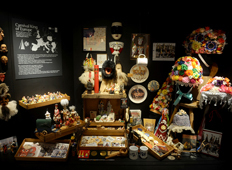 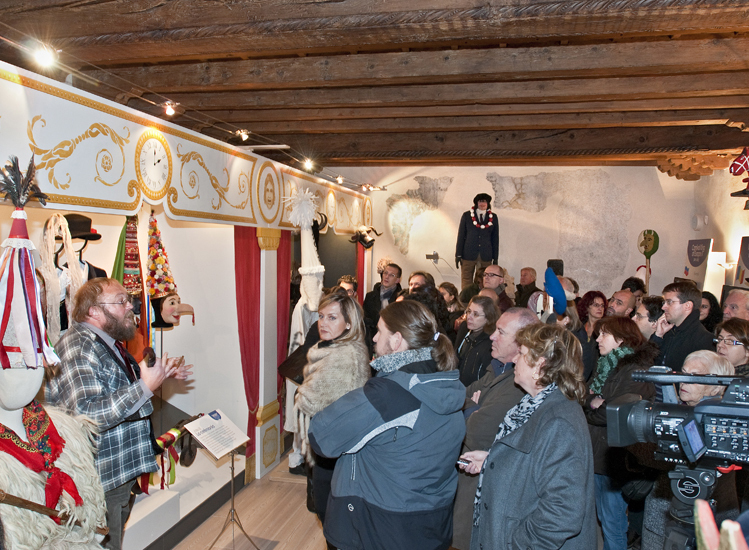 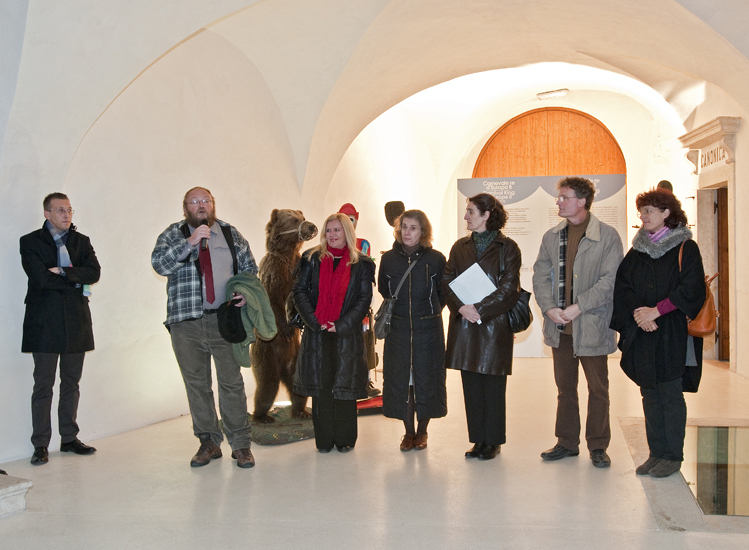 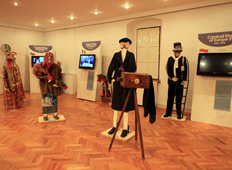 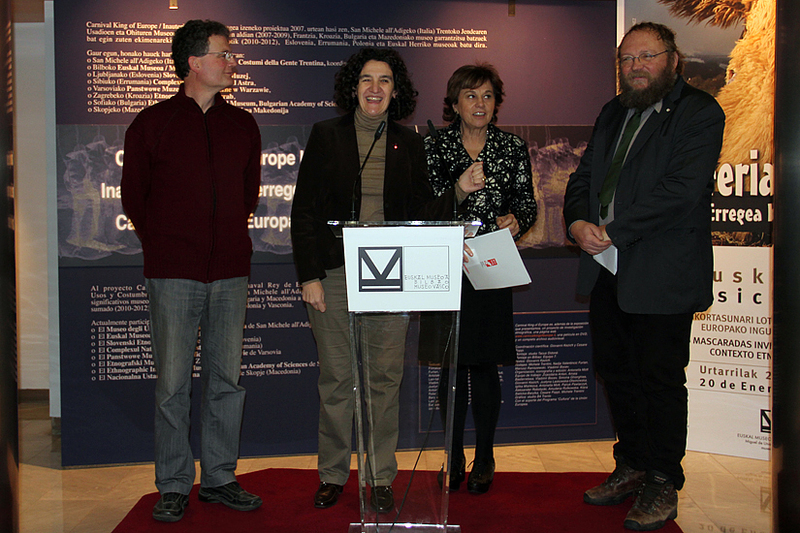 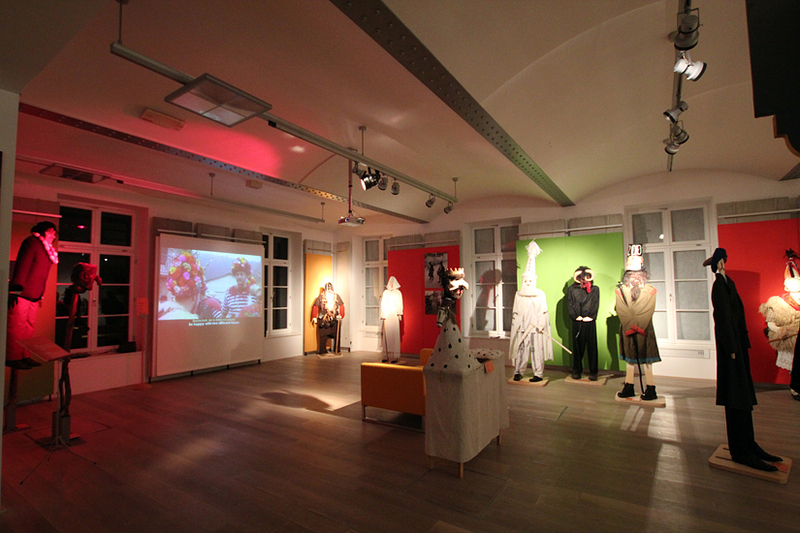 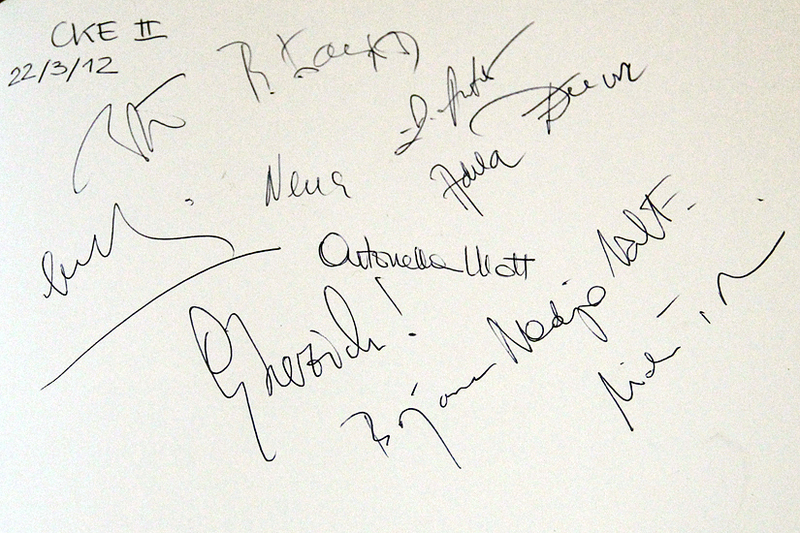 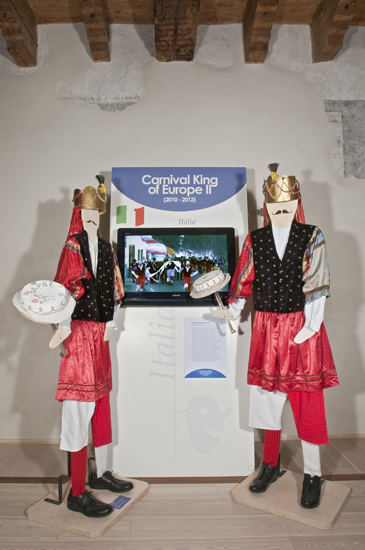 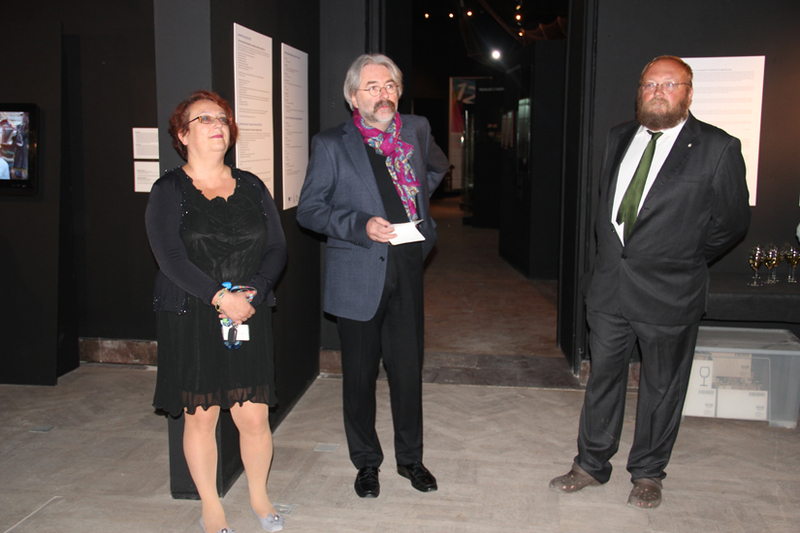 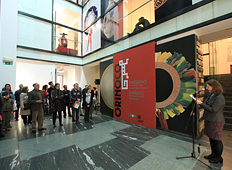 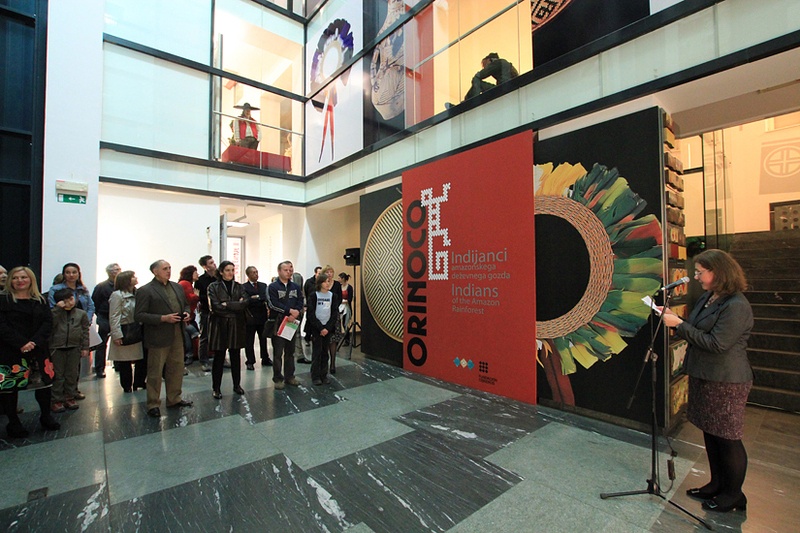 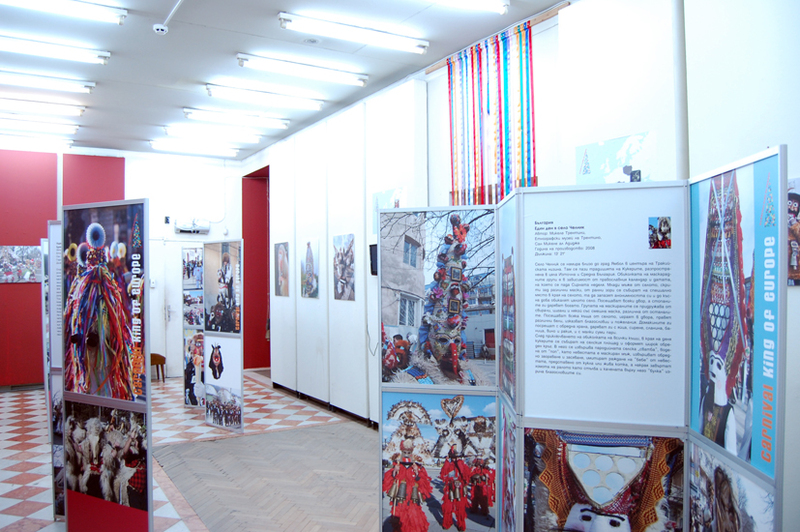 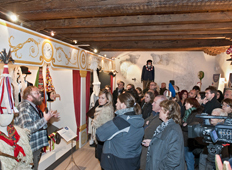 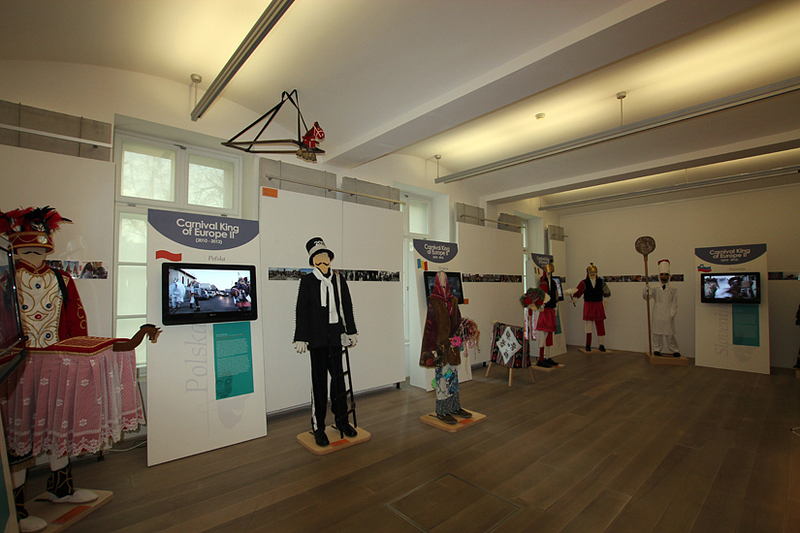 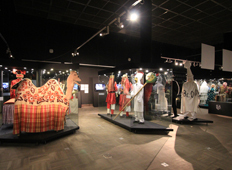 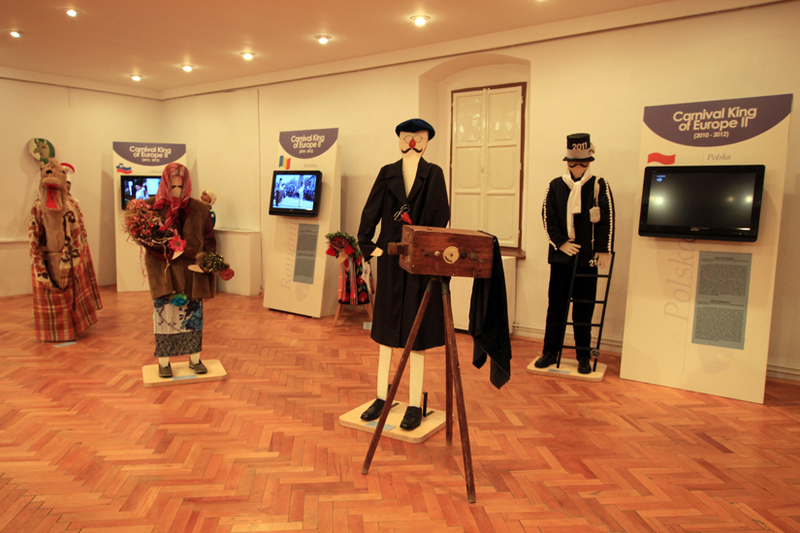 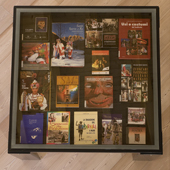 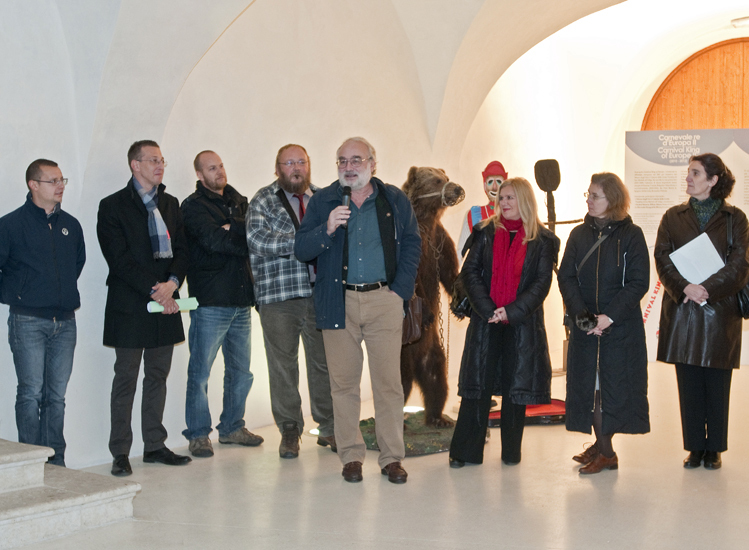 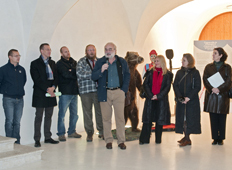 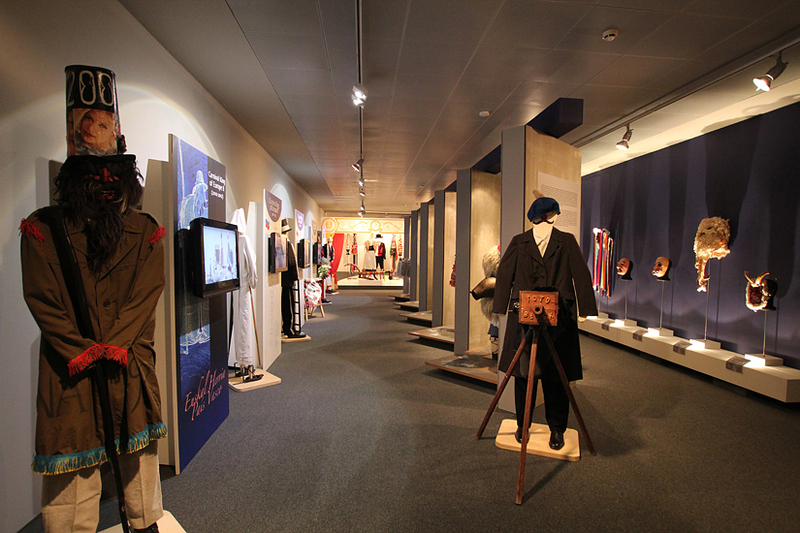 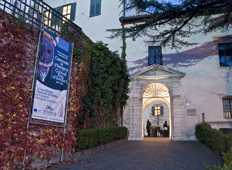 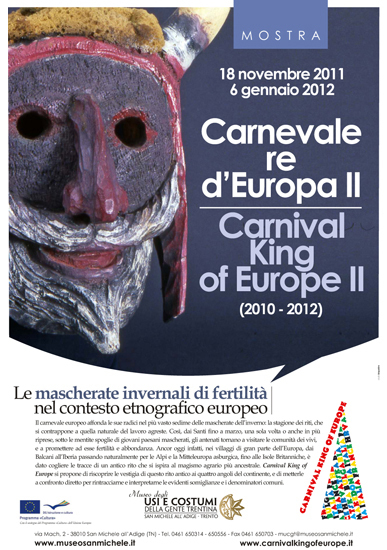 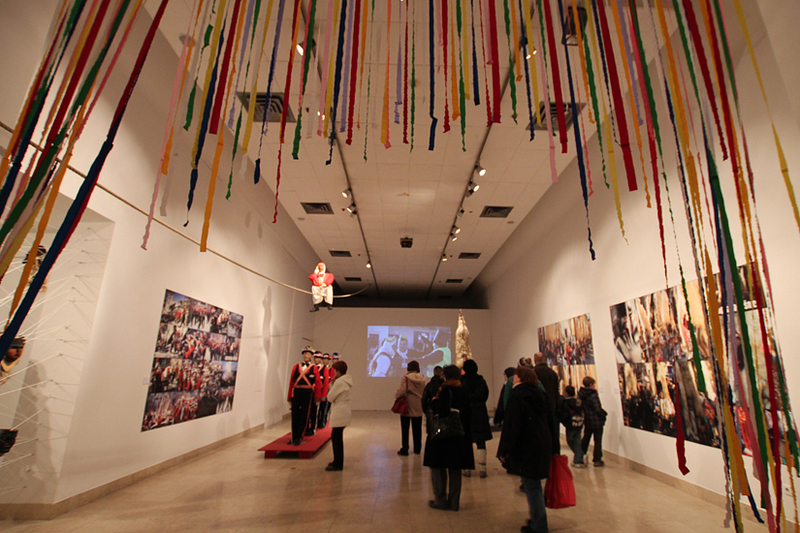 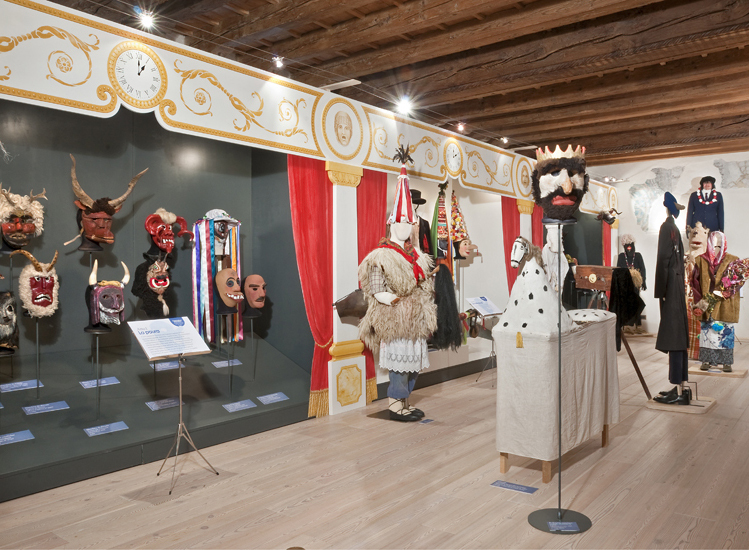 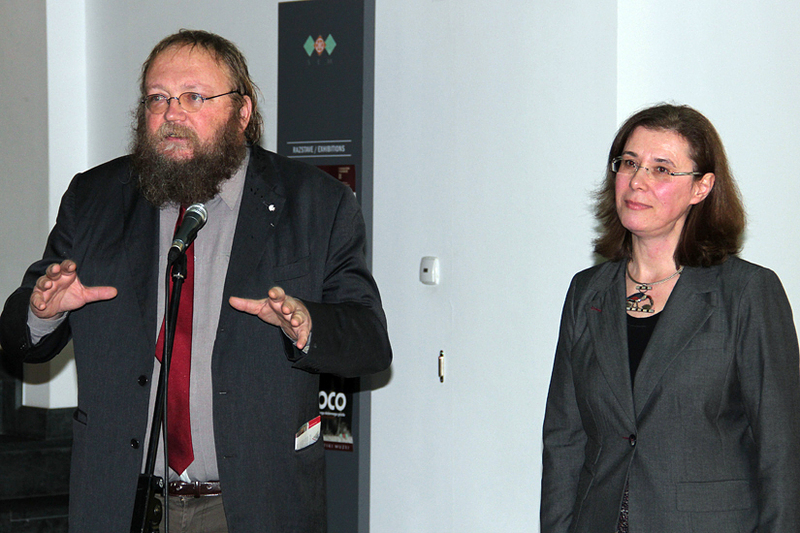 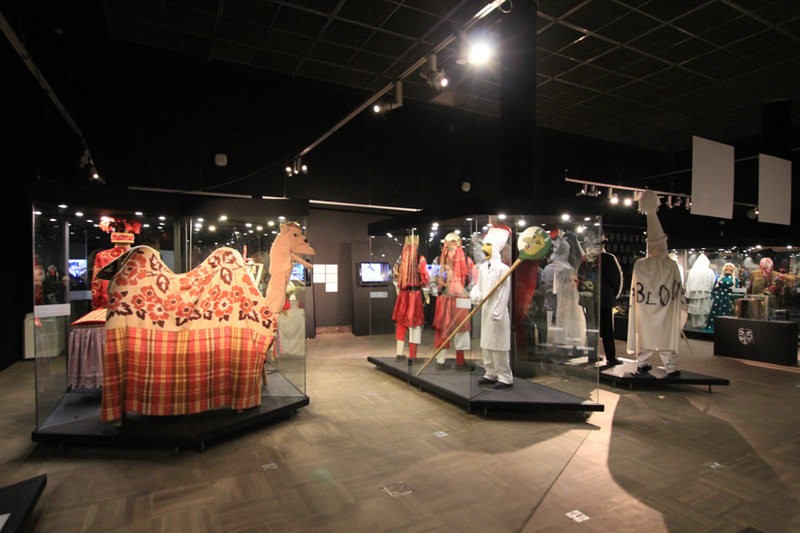 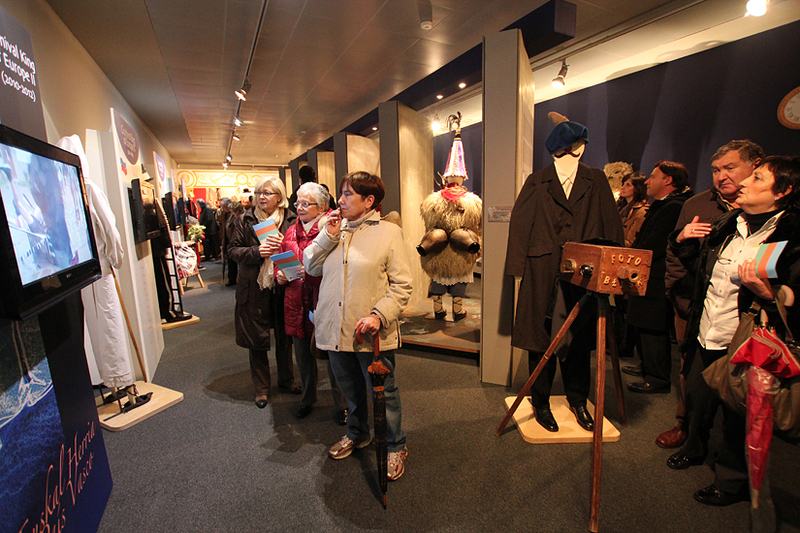 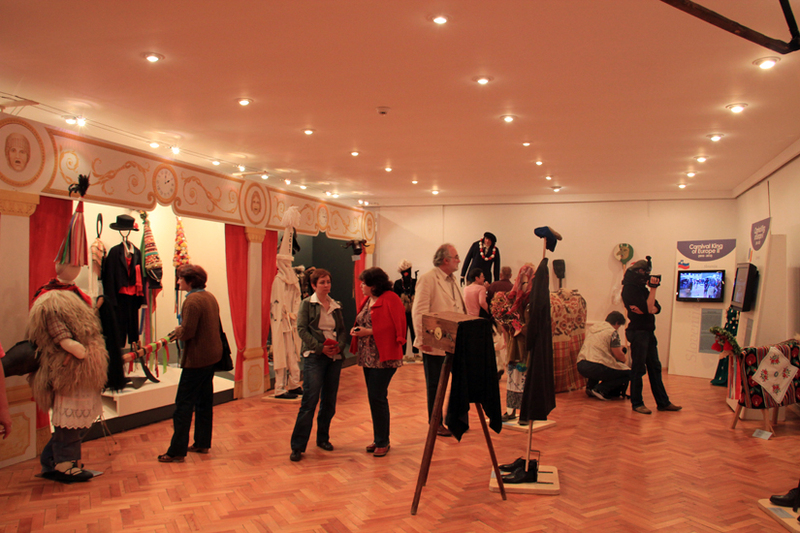 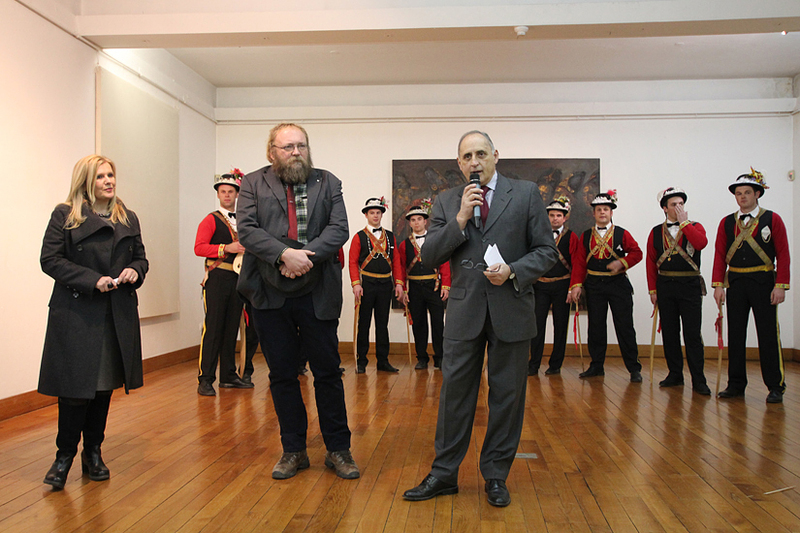 A general overview on the “Carnival King of Europe” exhibition and its progress from San Michele all’Adige to some European capitals such as Zagreb, Sofia, Skopje, Ljubljana. 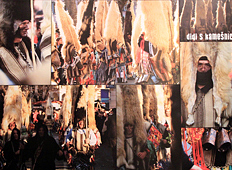 In the heart of winter, when the earth rests and the local communities are locked within themselves waiting for the awakening of vegetation, a beneficial invasion of spirits breaks into the monotony of days, sets fire to the nights and throws the villages into havoc. 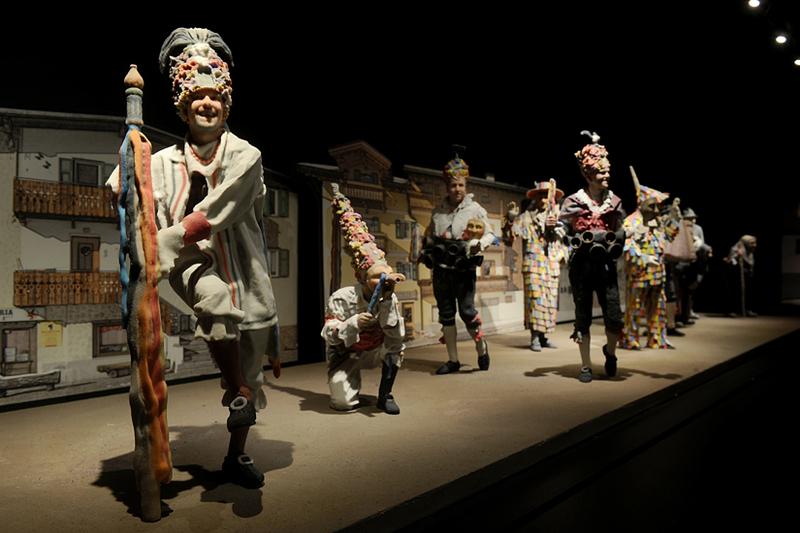 In the course of colourful and noisy processions that embrace the whole community, these spirits are represented by masked characters or mummers that visit every household begging for eggs and foodstuffs. 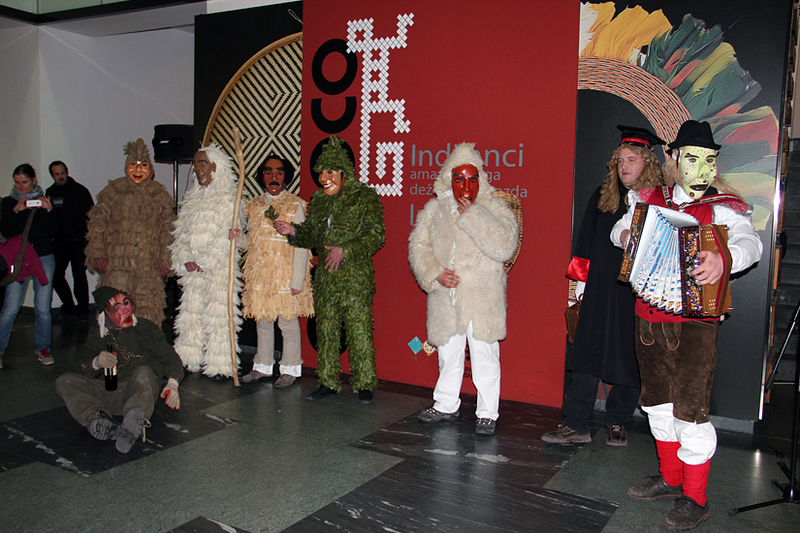 They are the spirits of the flock and the woodland, the occult dormant forces of nature, the ancestors that return, in the form of frightful, powerful and prodigious beings. 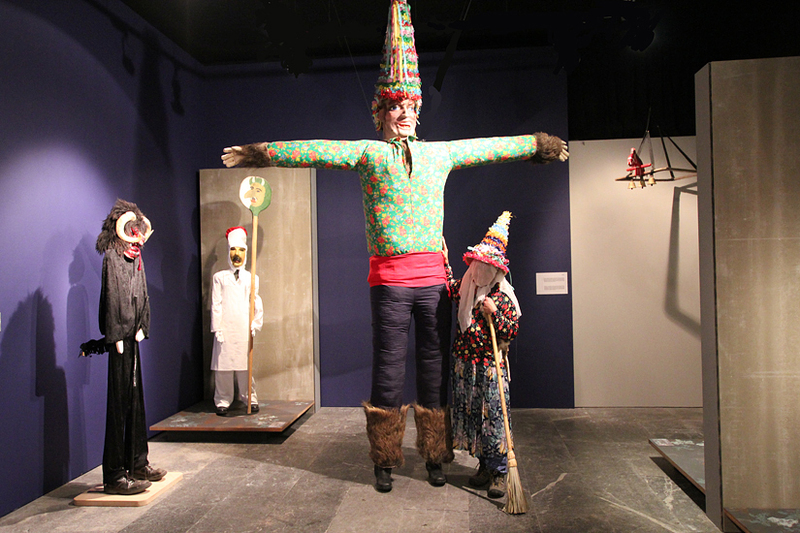 So, the long winters of European peasant communities are interrupted by a series of spontaneous ceremonials, as ancient as they are apparently incomprehensible. 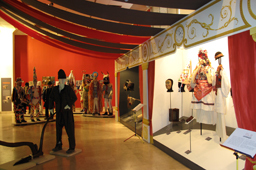 Of these, our “Carnival” is surely the better known: a sudden explosion of noises, colours and emotions, which hides a deep ritual and symbolic core, very hard to decipher. 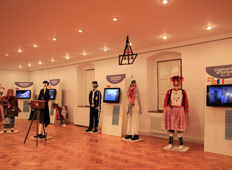 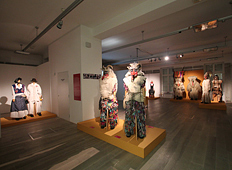 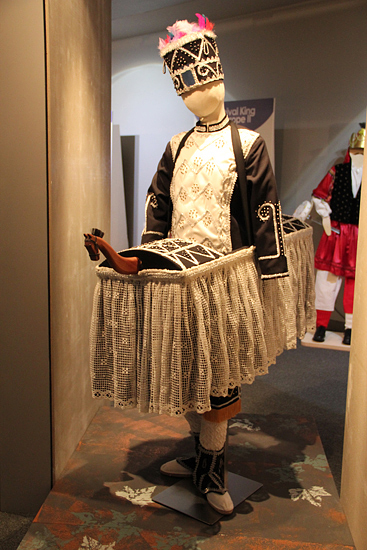 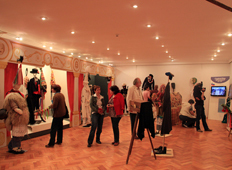 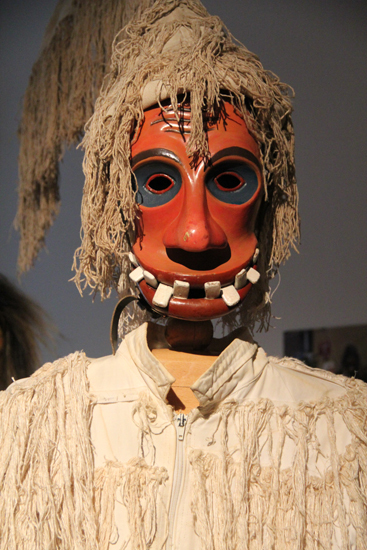 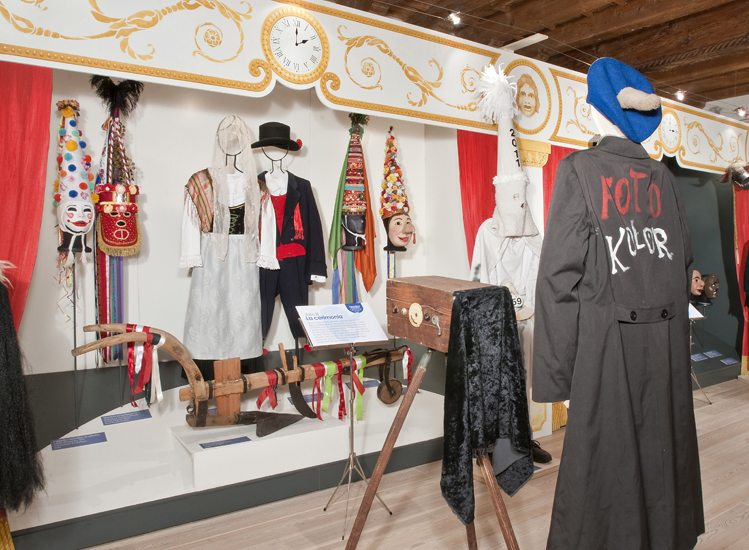 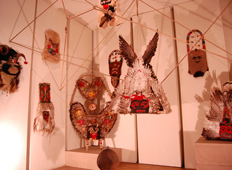 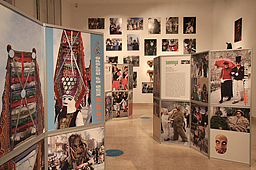 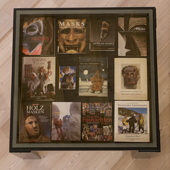 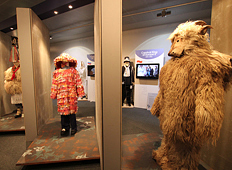 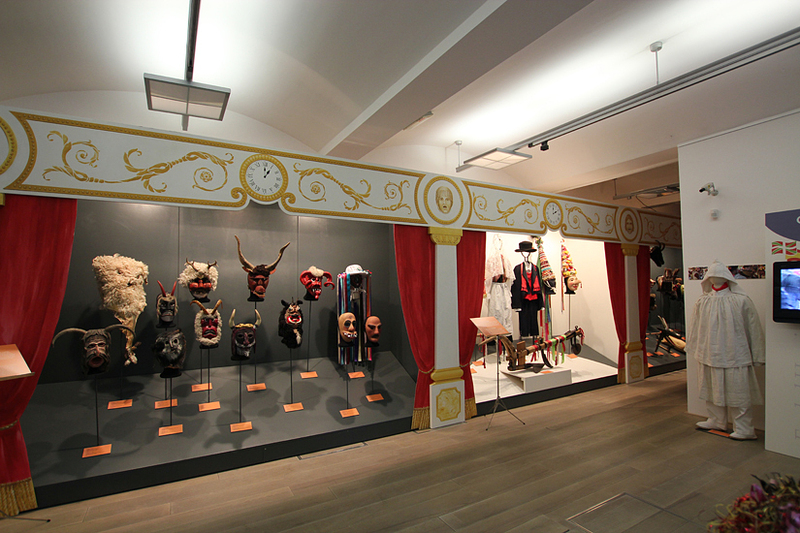 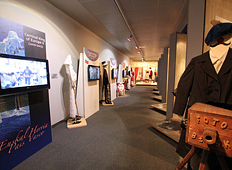 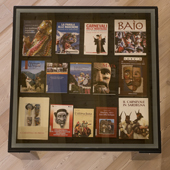 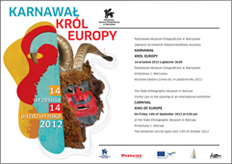 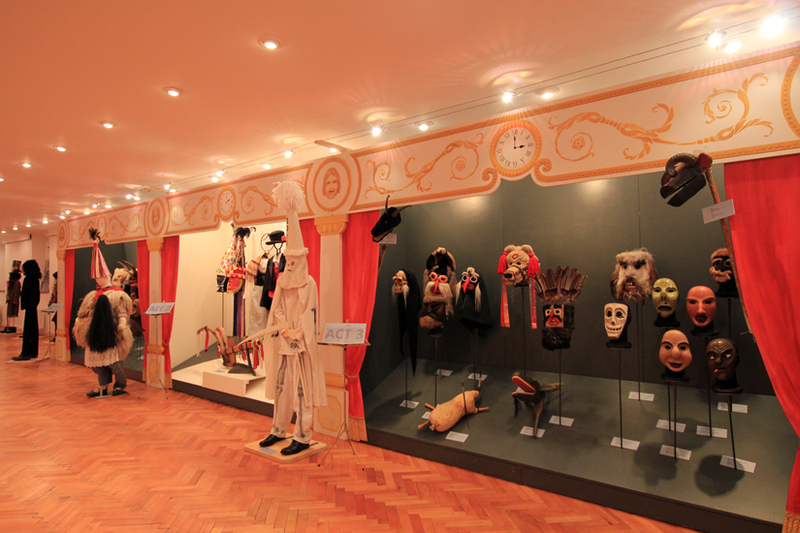 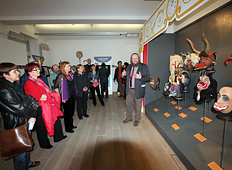 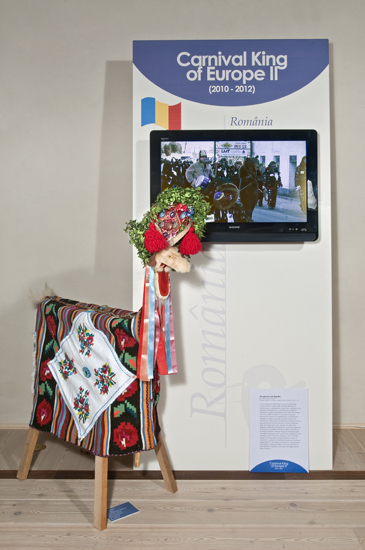 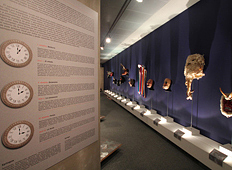 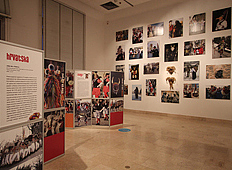 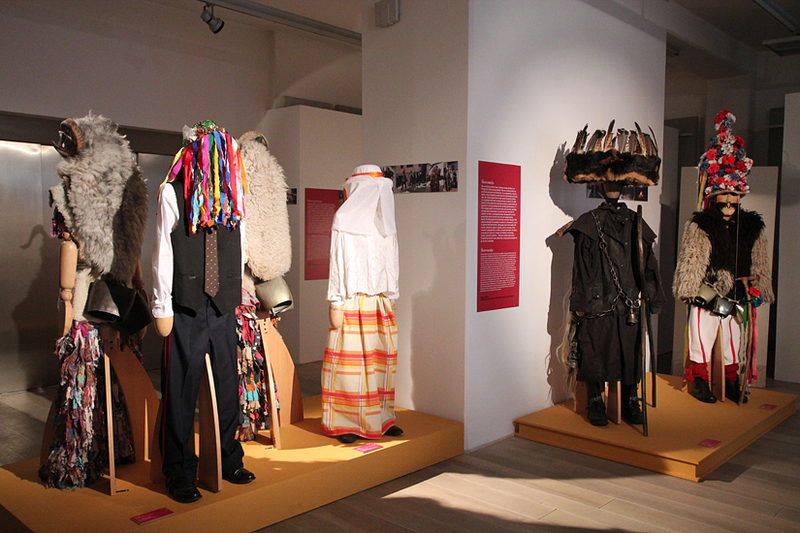 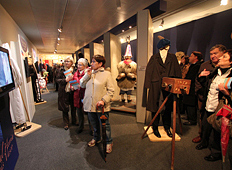 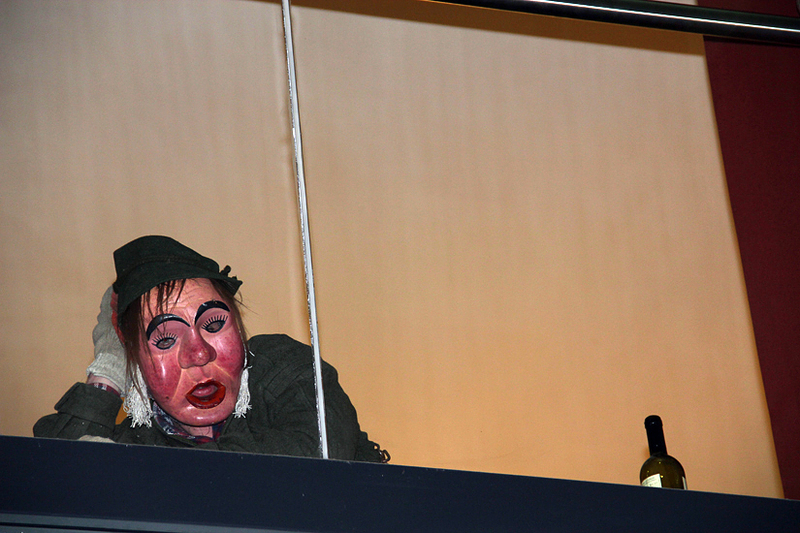 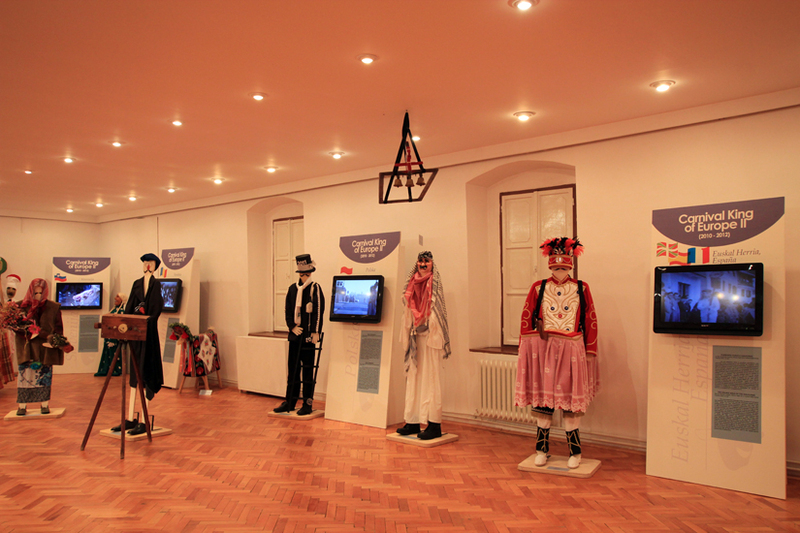 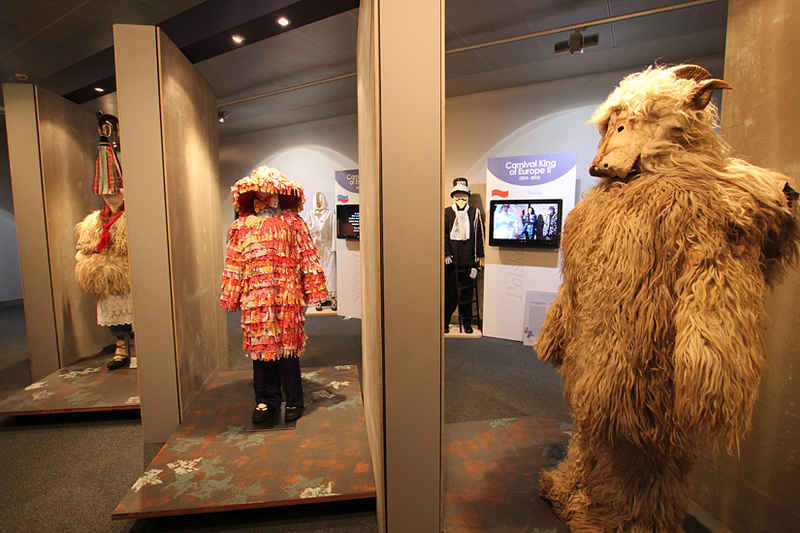 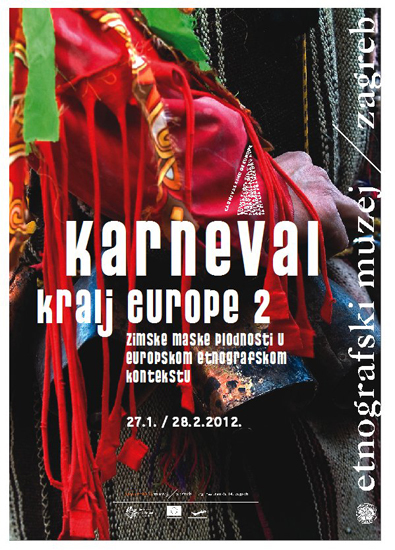 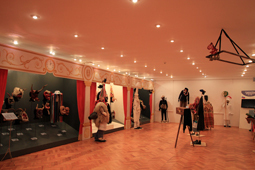 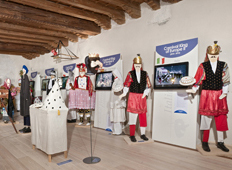 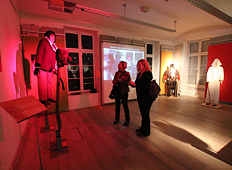 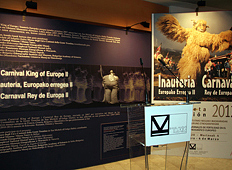 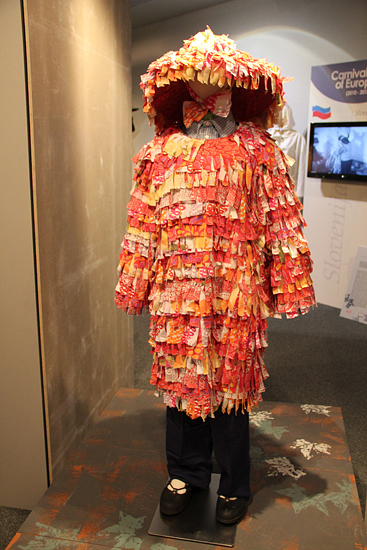 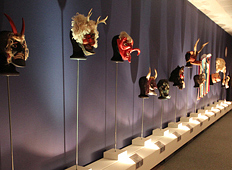 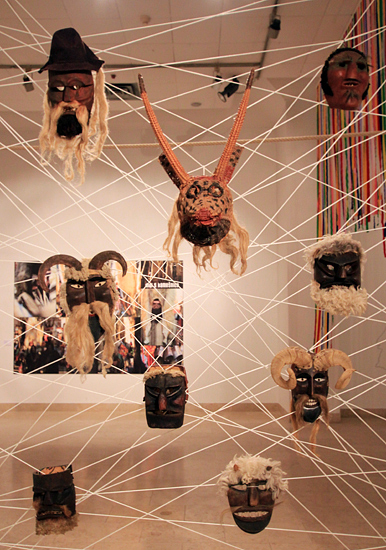 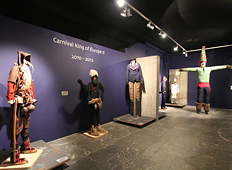 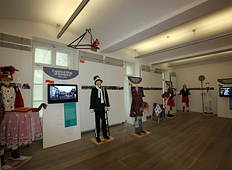 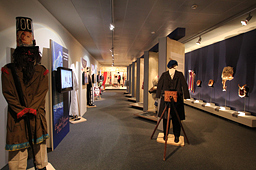 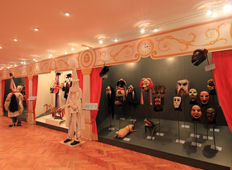 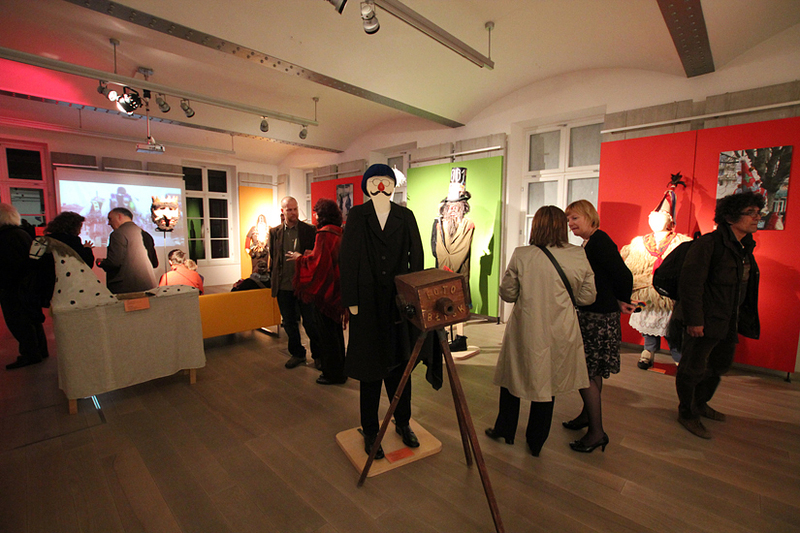 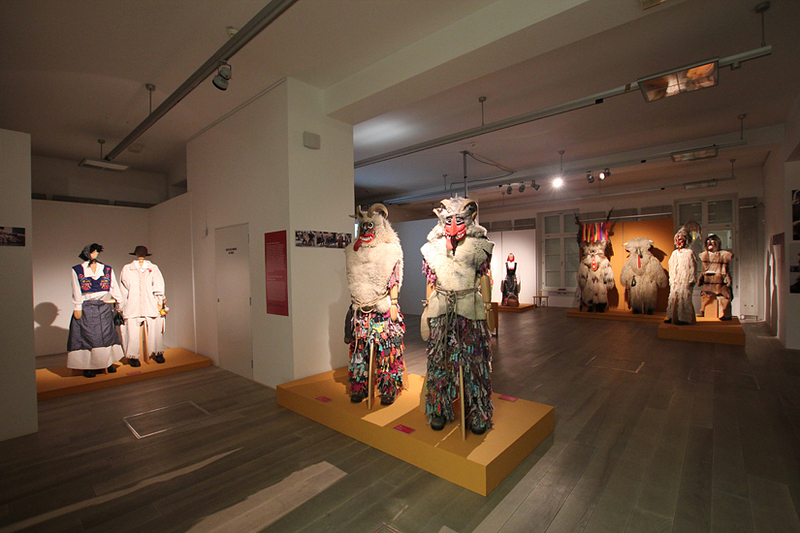 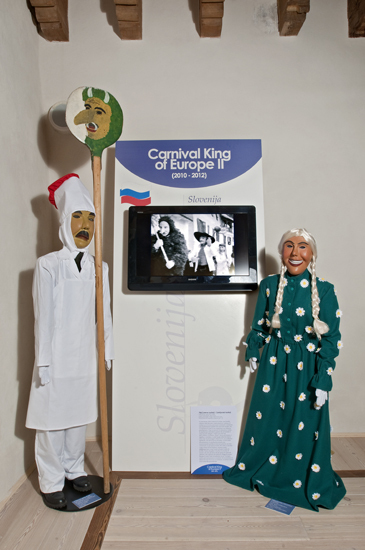 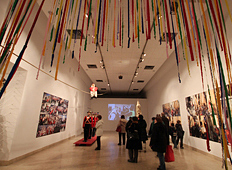 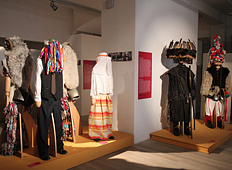 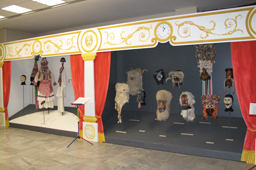 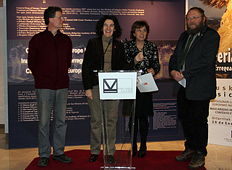 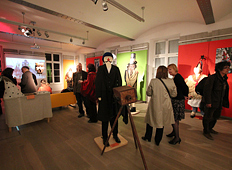 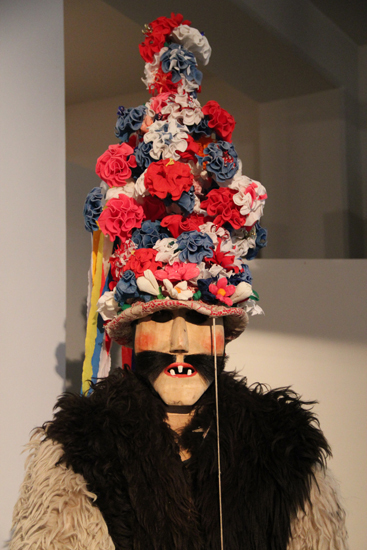 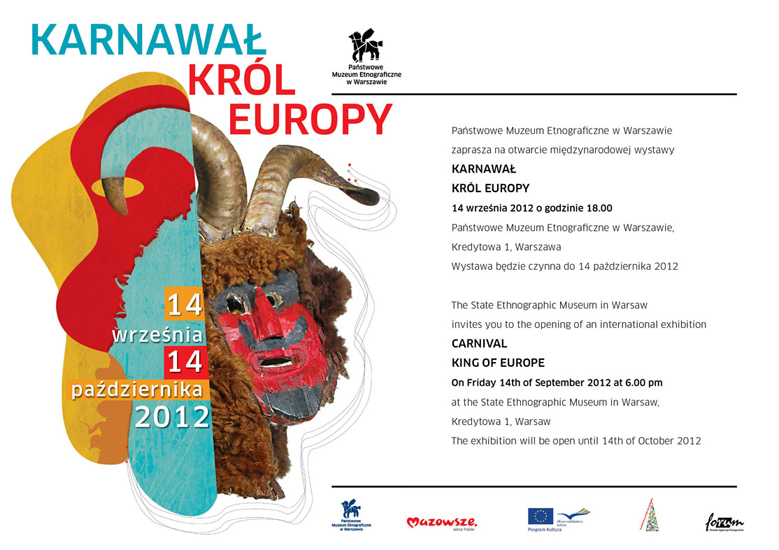 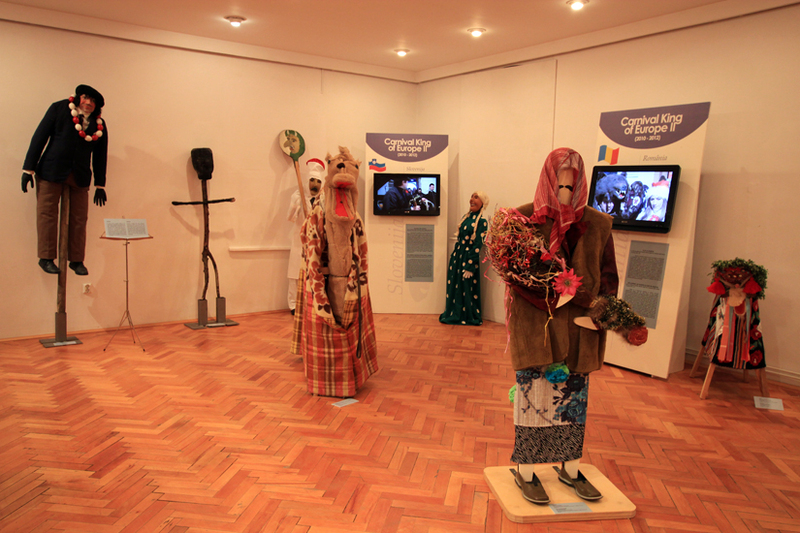 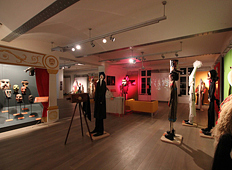 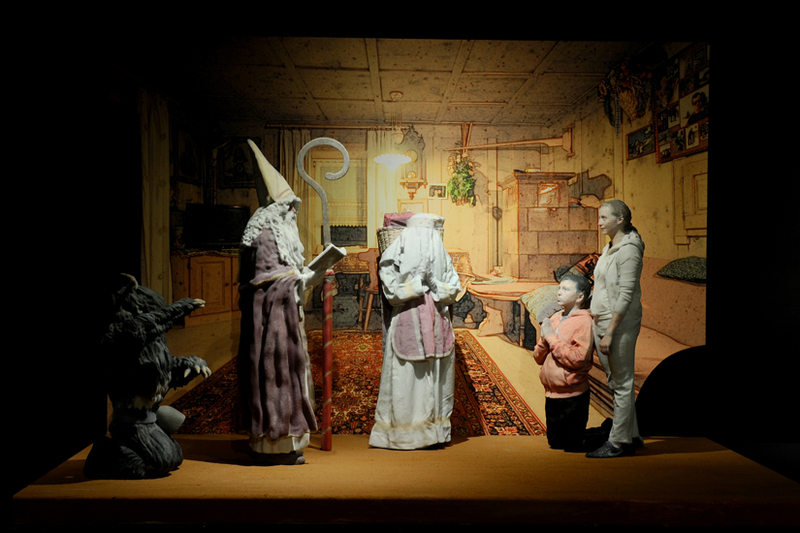 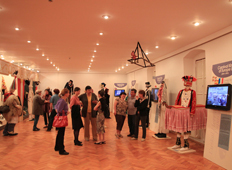 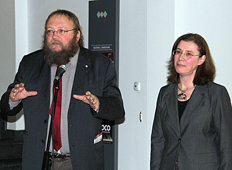 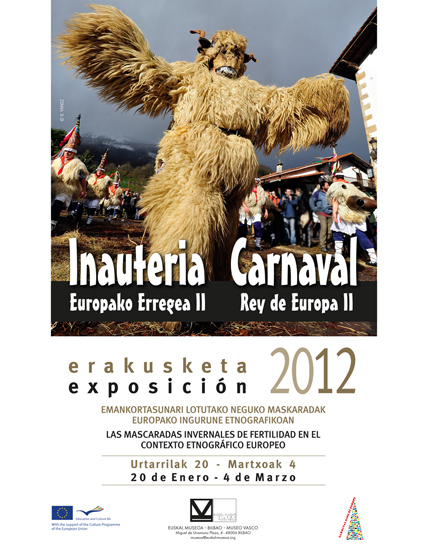 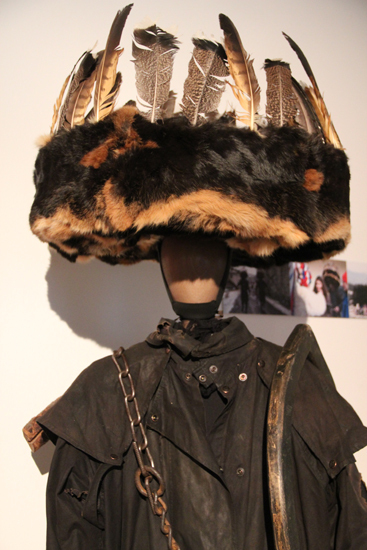 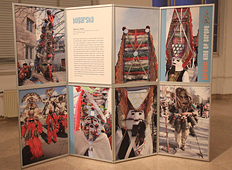 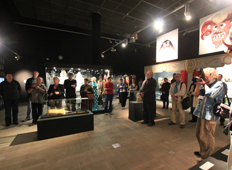 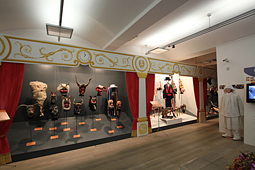 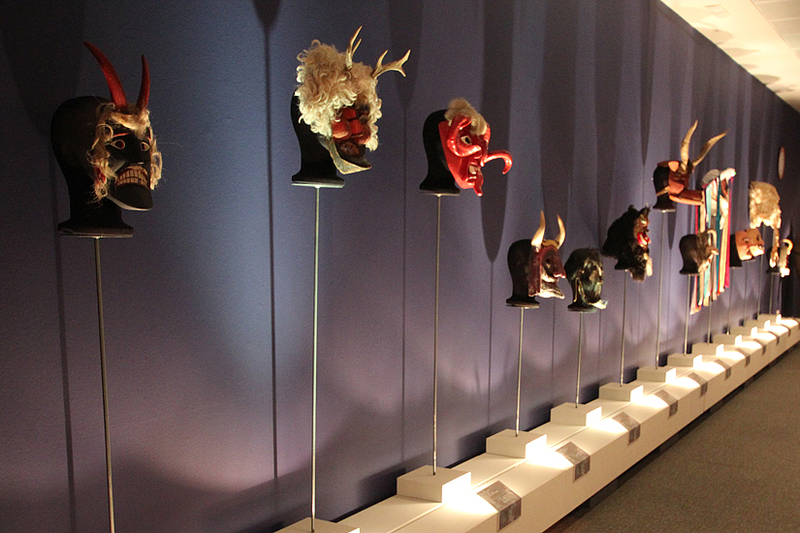 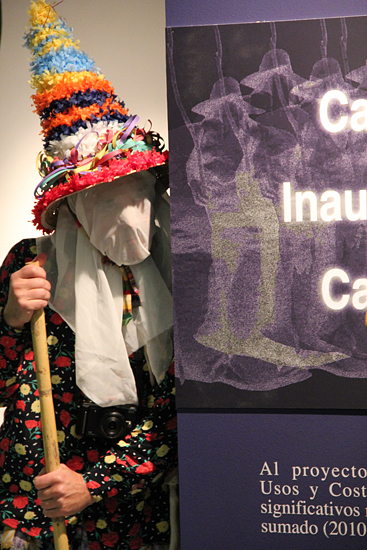 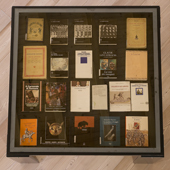 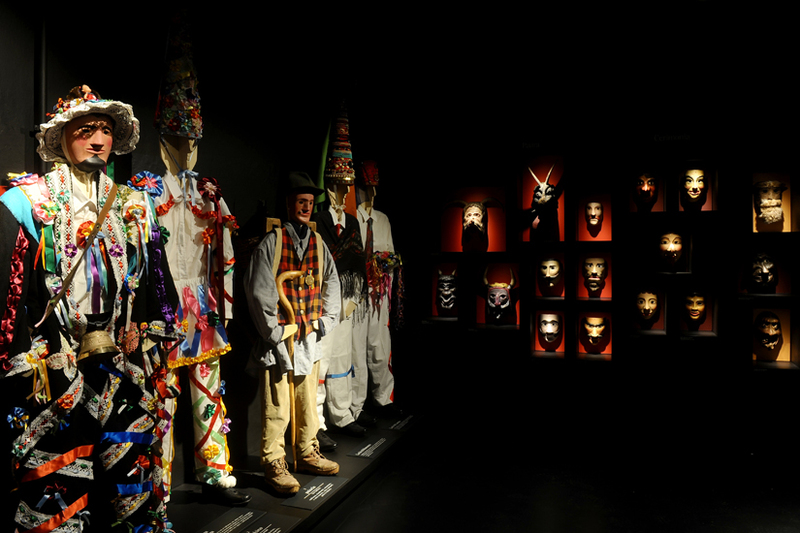 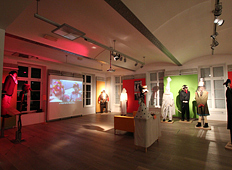 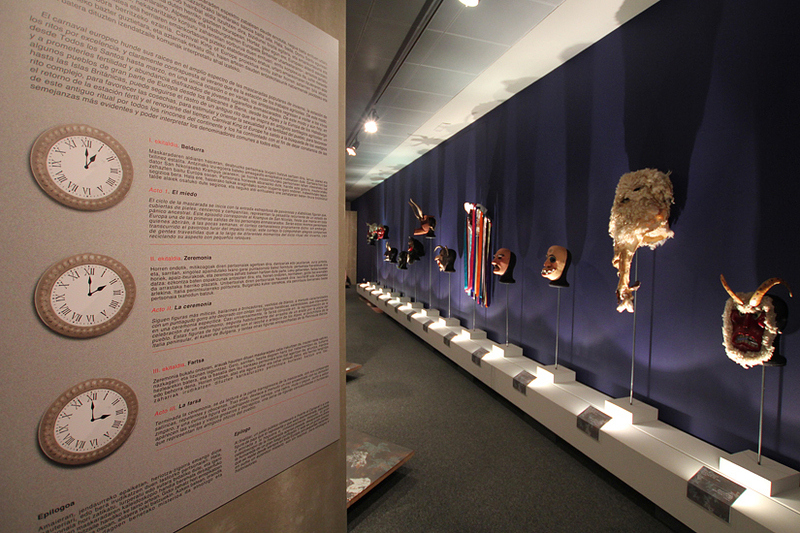 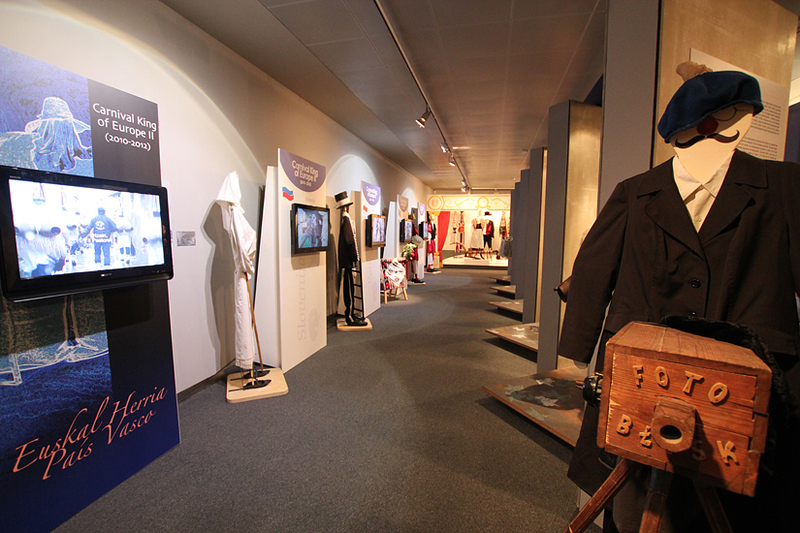 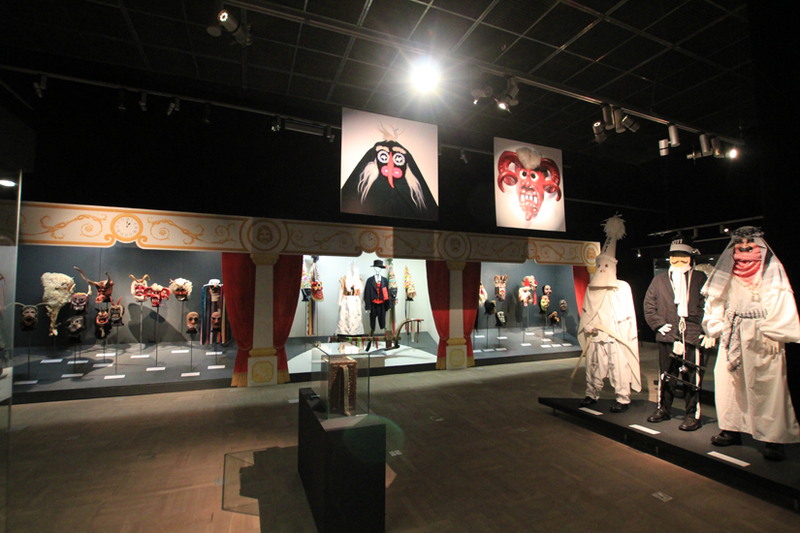 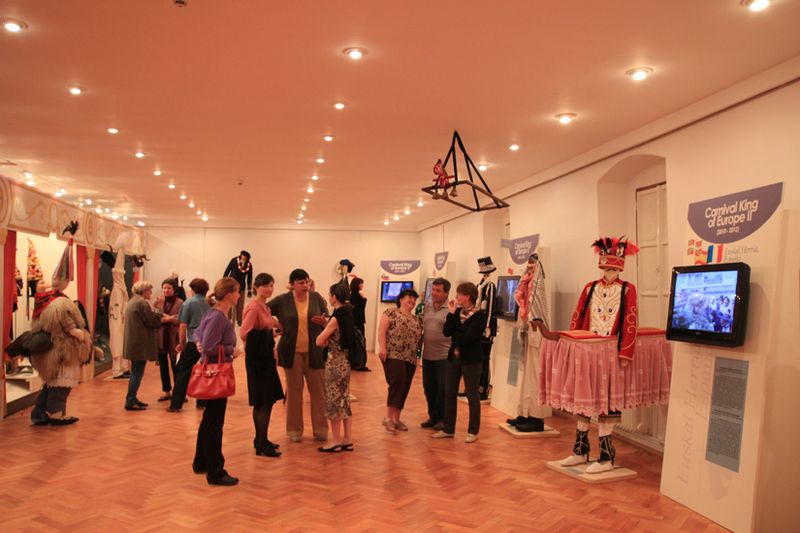 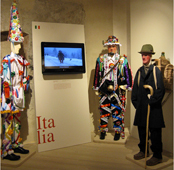 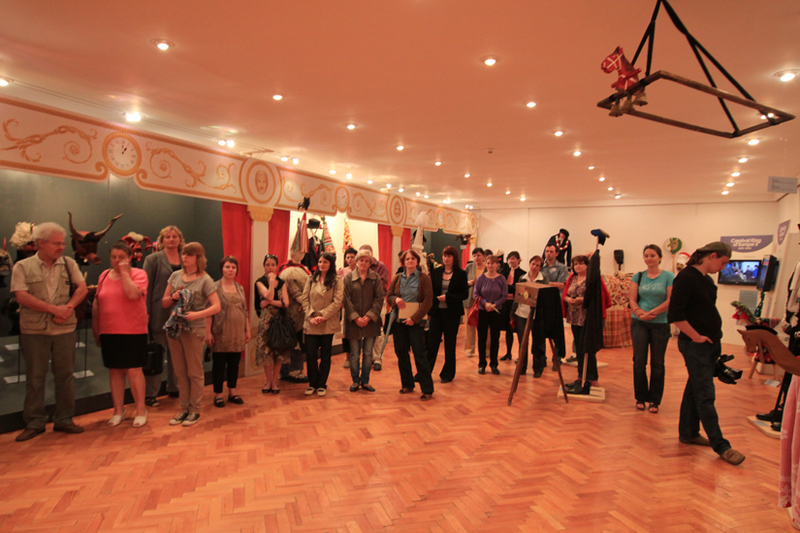 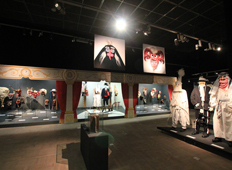 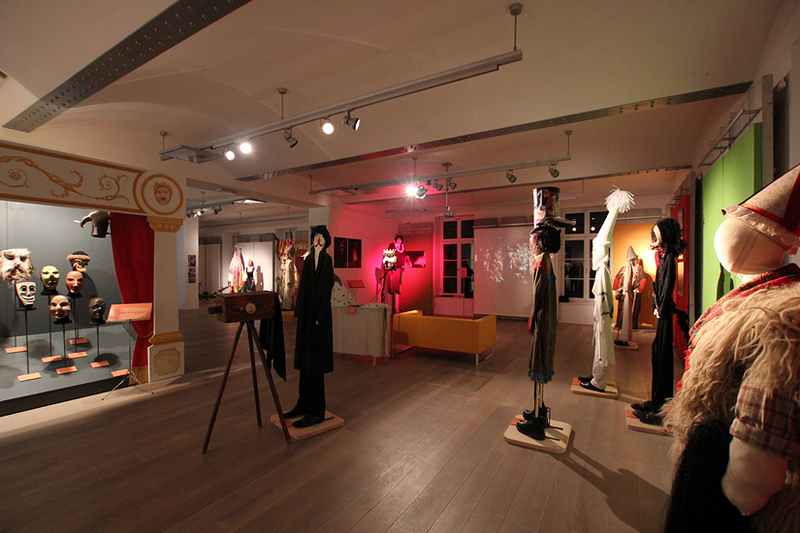 The hypothesis that underlies this exhibition lays upon the assessment that the winter masquerades of European peoples – that is “Carnival” proper plus many other entwined rituals that take place in Europe from Halloween down to the beginning of Spring – draw their inspiration from a common ceremonial imagery, and are structured in a very similar way. 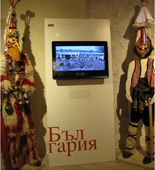 Characters, actions and settings of these rituals are thus found to be almost identical, so as to reveal the structure of the same ancient liturgy, of the very same sacred drama. 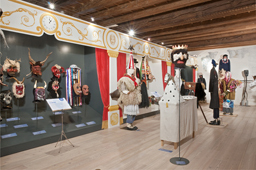 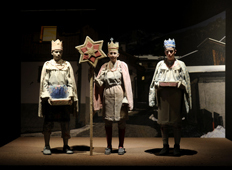 In this ceremonial pantomime, which almost always has a mock-wedding at its core, so as to put forward the idea of the union of the sexes as an explicit metaphor of the idea of fertility, it is possible to recognize three distinct and separate phases, which are found to maintain their ordered sequence wherever the ritual has preserved in time some segmented structure of its own. 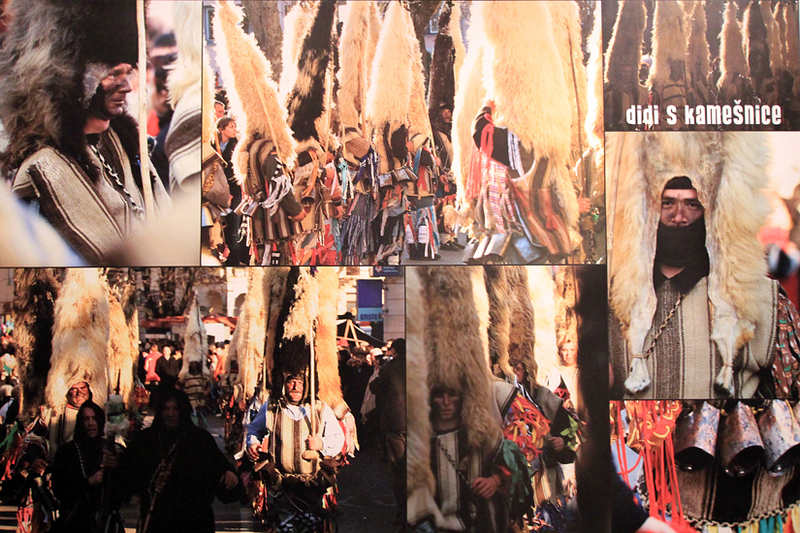 From Iberia to the Balkans, from the Pyrenees to the Alps, from the Italian peninsula to Central Europe, each one of these phases can be recognized by the same signals and the same symbols, which are indelible traces of the ancient liturgy which lays at the origin of these rituals. 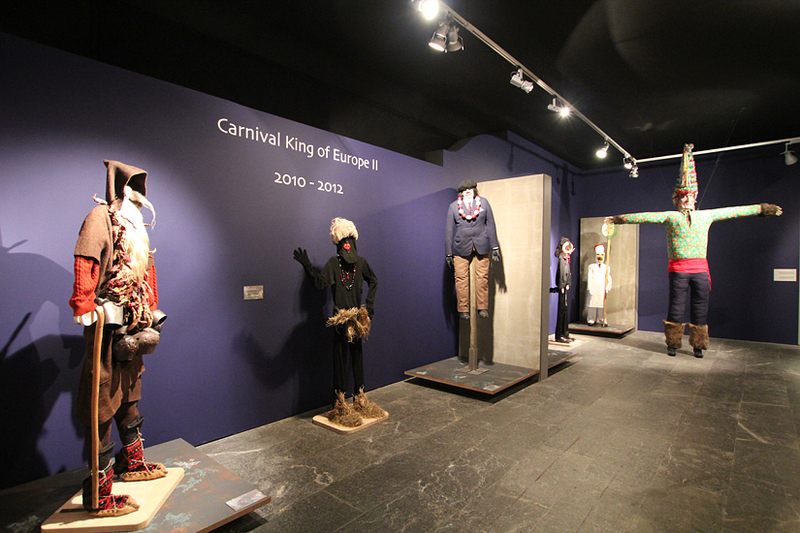 So, Carnival’s own Kingdom appears to be only superficially uproarious and ephemeral, and can be considered instead one of the more extended and longer lasting of the history of the continent of Europe so that, in this particular perspective, Carnival itself can be taken to be a true “King of Europe”. 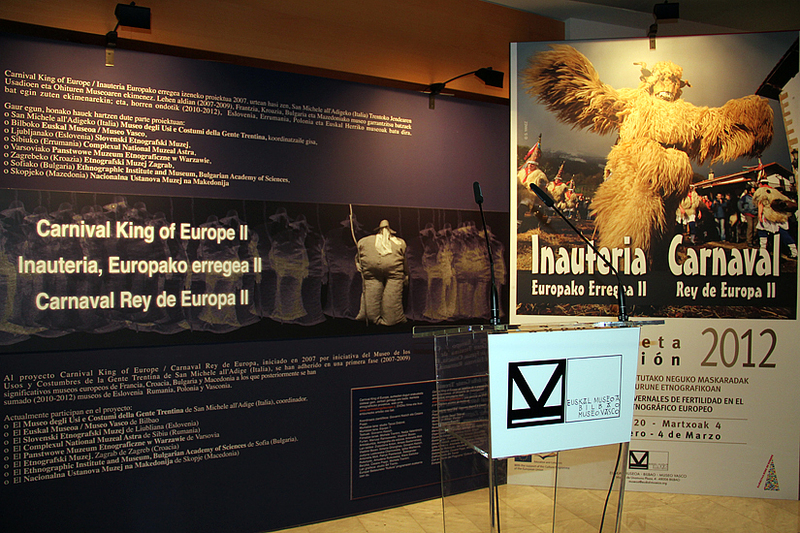 New research will make possible new comparisons among the various areas of the continent, so as to shed some light on the origins of this ceremonial complex and the reasons of its millennial historical progress. 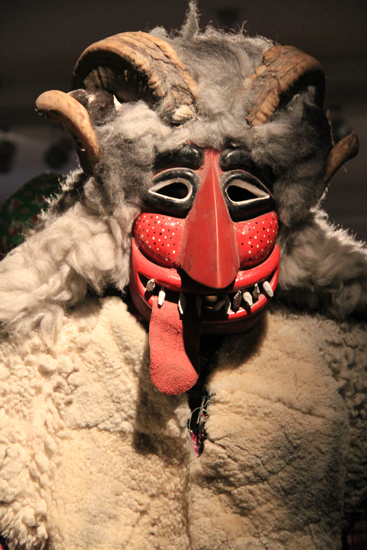 It is the sound of cowbells worn around the waist of the mummers, that announces the time of ritual and calls upon Nature to awake, when a disorderly and rather frightful flock from the great outbacks of the mountains and the woodlands, takes hold of the village. 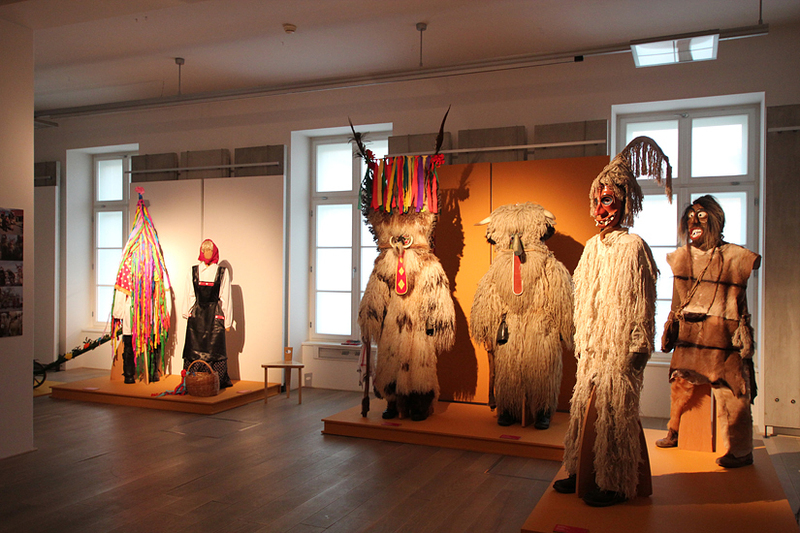 Symbols of a transhumant pastoral condition that comes before, and is opposed to, that of the peasant settler, the bell-shakers that march on shaking their waist in such a way as to make the maximum of noise, are pastoral demons – i.e. 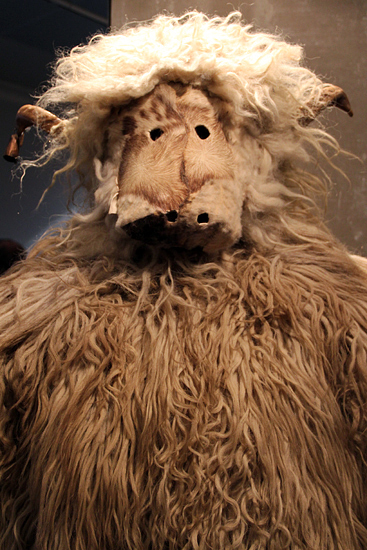 the transfiguration of wild birds, boars, goats, rams and oxen – as well as returning ancestors. 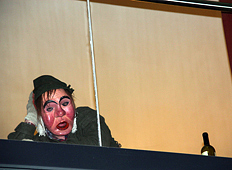 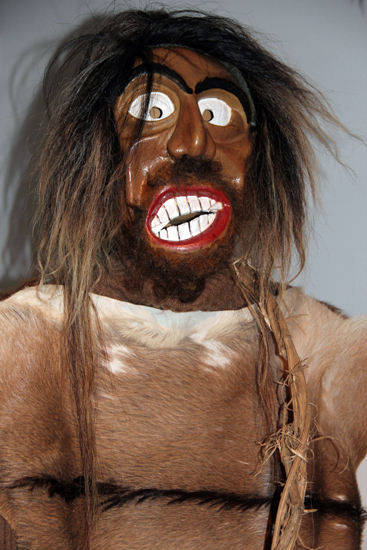 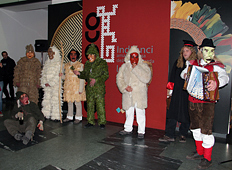 The costumes and masks of these characters can greatly variate in between an animal, monster-like and a human extreme, so that they can be seen alternatively as beasts, devils, wayward ancestors, “wild men of the wood” or as the ageing bachelors that often lurk in the recesses of the village webs of kinship. 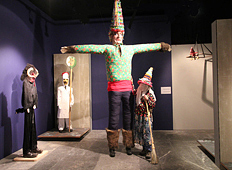 Once the impact of the monster figures has faded out, there sets in a ceremonial phase proper, whose minister are hooded, silent dancers, which are referred to in a variety of ways, but usually wearing as a very distinctive sign a tall mitre shaped as a cone adorned with flowers and long ribbons. 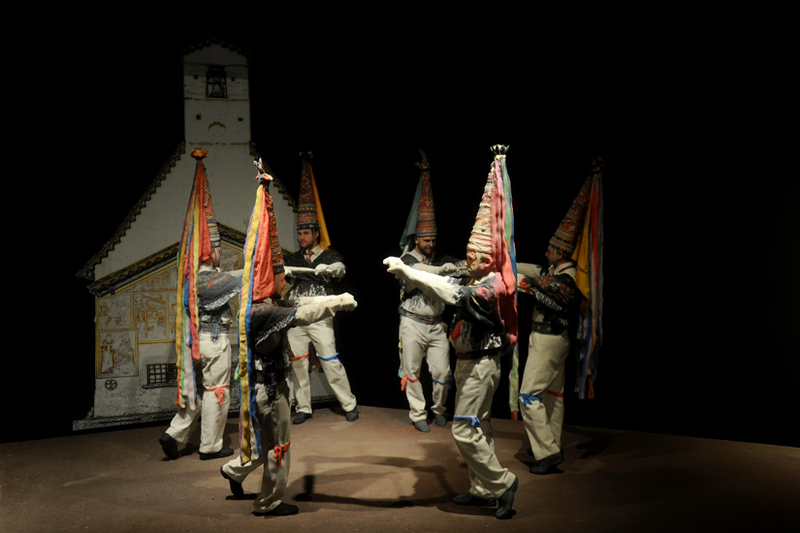 The office and specific duty of such hooded mummers, as they dance in ample anticlockwise circles, is to bear witness to the wedding ceremony, which is about to follow. 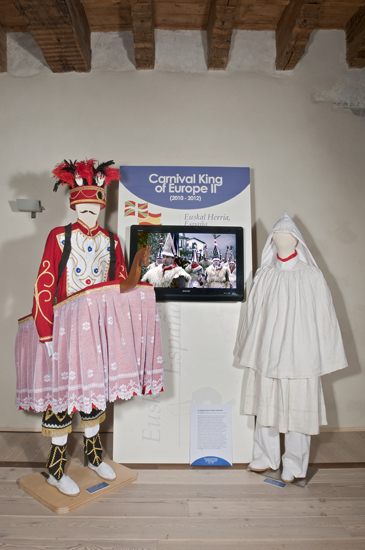 In fact, at the core of the ritual cortege, a groom and a bride – usually a man-in-drag – make their appearance. 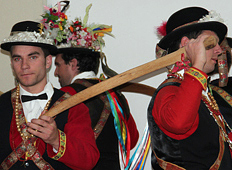 This mock-wedding is often followed by mock-ploughing, with the plough pulled by two yoked mummers on the village main square. 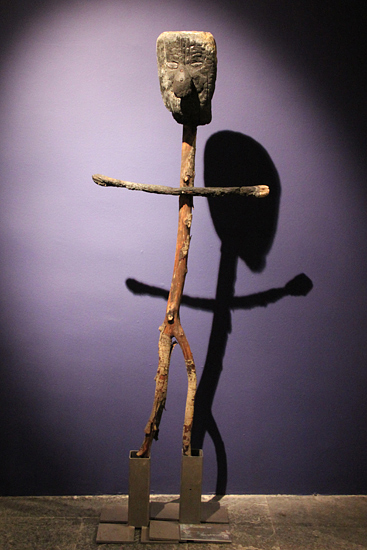 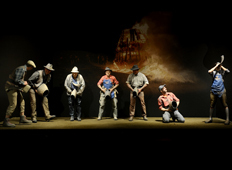 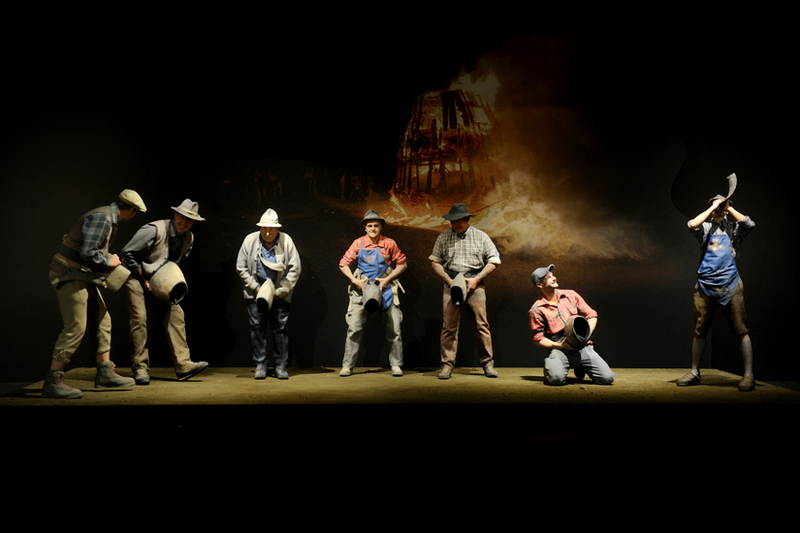 Symbolic harrowing, sowing and the uttering of a ritual blessing are often made to follow. 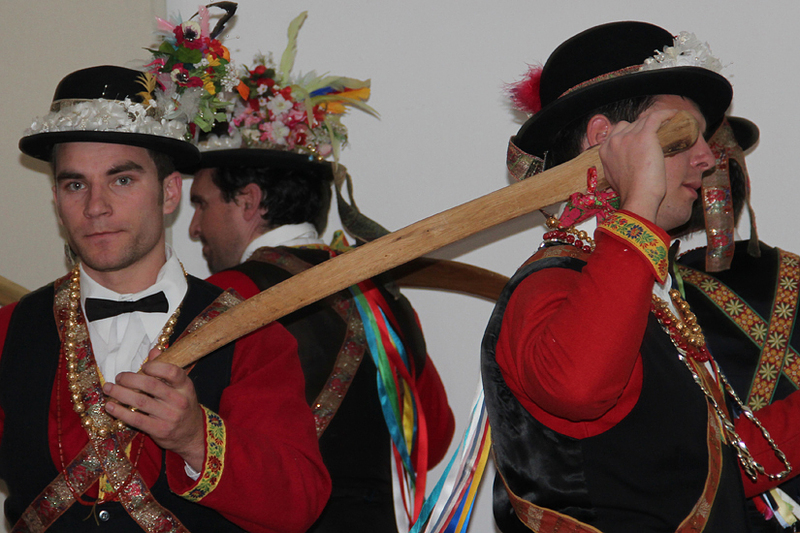 The linkage of the nuptial theme to that of ploughing, which are often found ad the core of the ceremony, implies some symbolic connection between human sexuality and the fecundity of the earth, which ploughing itself stimulates and masters. 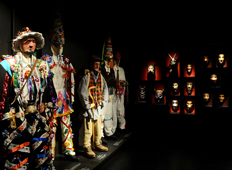 At the end of the ceremony, the stage is open to the clownish figures that feature in the last section of the cortege. 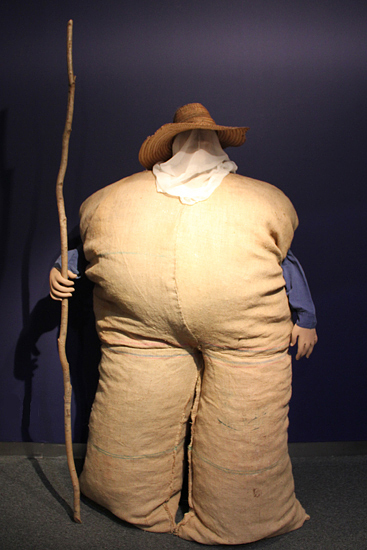 Commonly widespread, at this point, is the satirical representation of an exaggerated peasant poverty, made of caricature characters, lecherous and disgusting: ugly old women, crippled old men, drunken, unsavoury, bad... 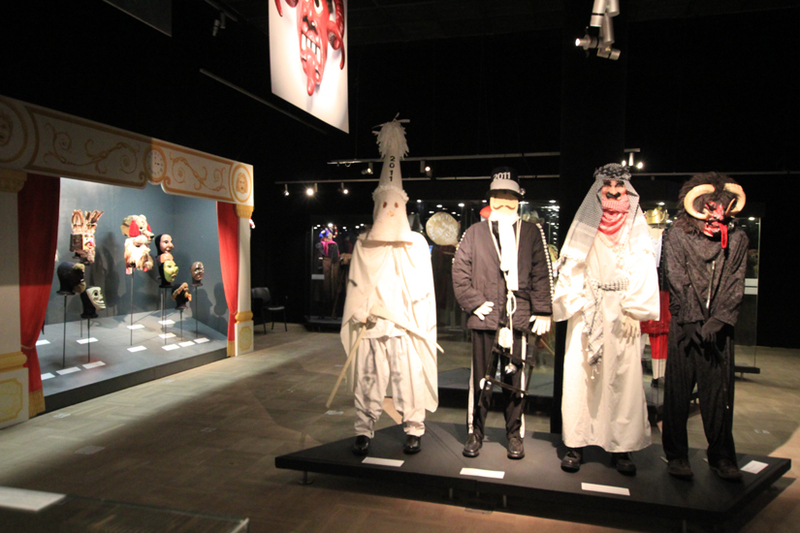 Some other specific characters are often featured: most notably a Bear with The Bear-tamer, the Hobby-horse, the Camel… Also, we find an assorted parades gypsies, nurses, doctors, nazi-soldiers, non-descript “blacks”... 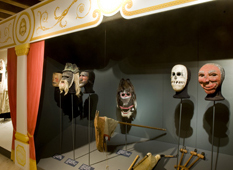 These ugly masks stage scatological and lewd jokes, as well as short pantomimes that directly involve the onlookers, often engaging them in rough fights that end on the bare pavement. 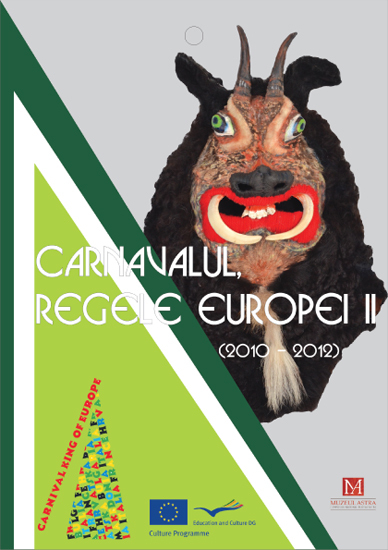 A great bonfire in the vicinity of the village is usually the final act of purification that says goodbye to Carnival. 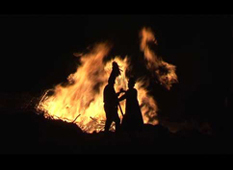 Several different symbolic meanings are made to converge into this act, in its various locations: to “burn the Old woman”, to “burn the Winter away”, to “call upon March”... 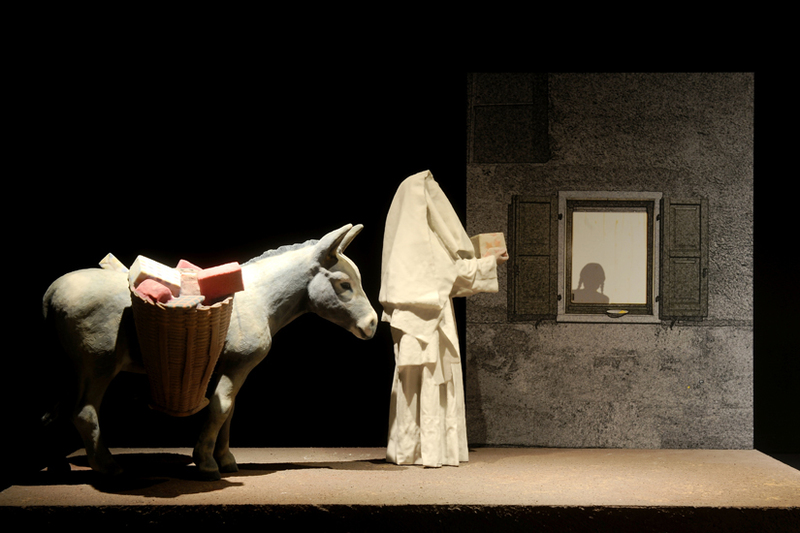 Thus, all of a sudden and a little cruelly, there ends the time given to the performance of this ancient ritual and one returns, with Ash Wednesday’s ashes, in the main course of ordinary time, which is disciplined by the Christian calendar. 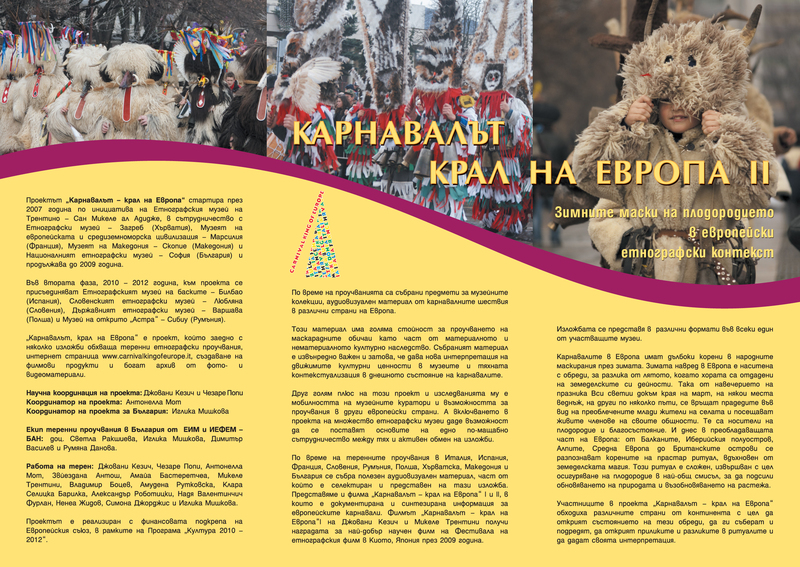 At dawn on January 14th, which marks the New Year in the old Julian Calendar, the village of Beghnishte, 100 kms. 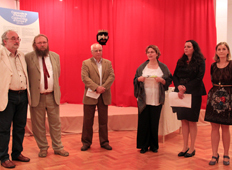 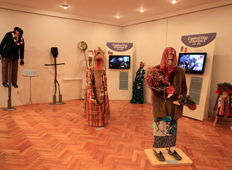 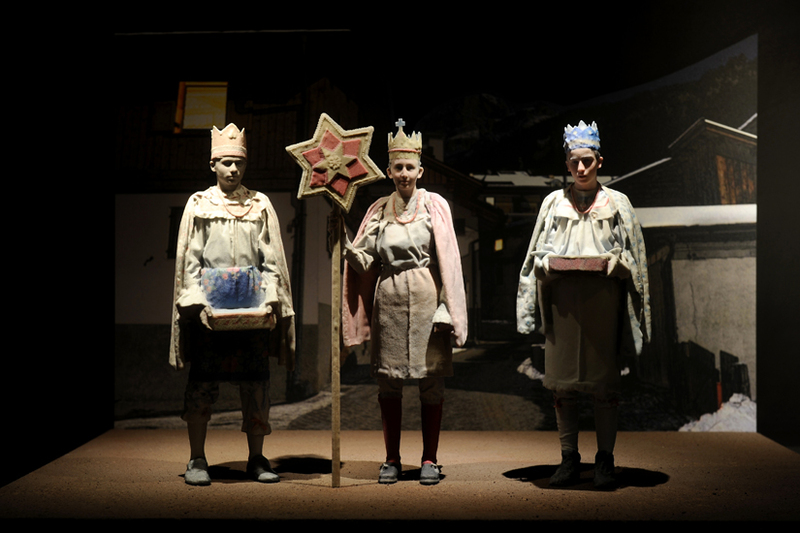 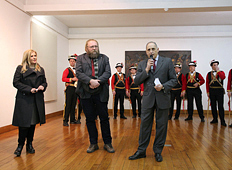 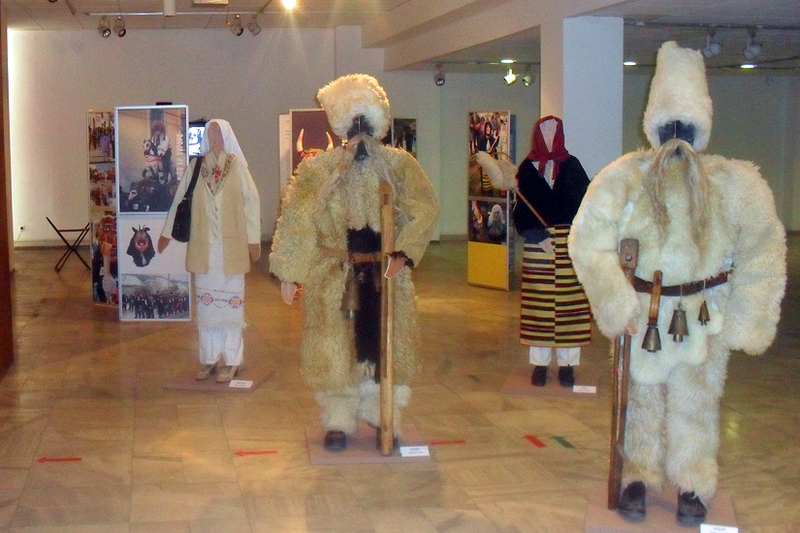 south of Skopje, experiences the invasion of the Djolomars, bearded and hooded bell-shakers, armed with clubs and wooden swords, accompanied by an old woman and followed by some clowns. 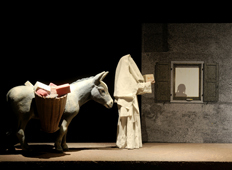 The cortege which is thus formed visits each of the houses of the village where, in exchange for the ringing of the bells and the chanting of good wishes, it collects offerings in cash or wine, flour, sweets or fruits, which are loaded on a little donkey that follows suit. 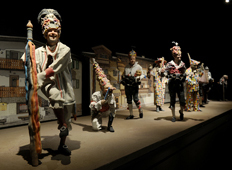 At the end of the day, the party of begging mummers gathers in the central open space of the village, where rampaging has been going on throughout the day, for a sequel of wilder and wilder round dances. The focus of such merry-go-rounds is a white-robed “Bride” (always a man-in-drag) with whom lewd, very basic sexual mimicries are carried out. 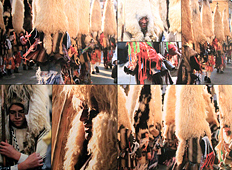 Very deeply felt among the villagers is the belief in the beneficial character of this ritual, which is supposed to purify the world and capture the energy for its fruitful continuation. 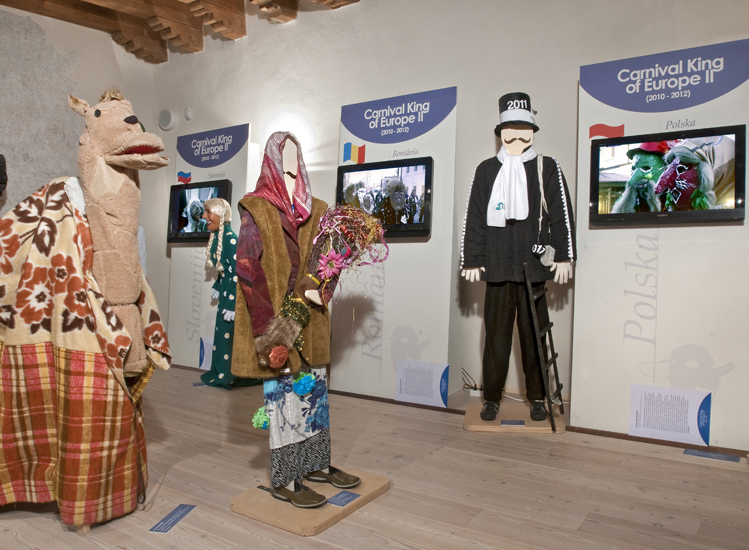 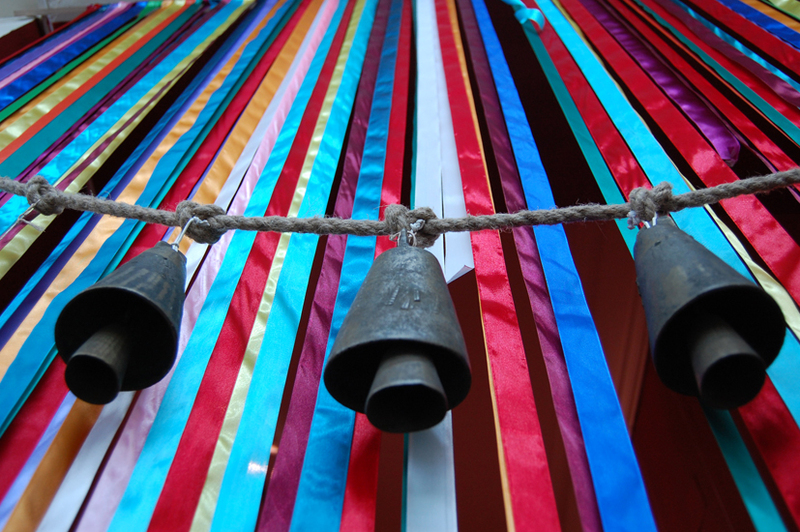 The modern village companies of the Zvončari, that is the “bell-shakers”, that once used to be known as the “Stari”, the “Old ones”, began to emerge around the turn of the XIX century. 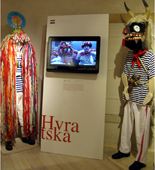 To that age we must also refer the idea of their costumes, which are often one third pastoral (cow-bells, mantles of fleece, axes and clubs…), one third carnevalesque and ceremonial (flowered hats), and one third maritime (the blue and white striped shirts of the Kvarner sailors). 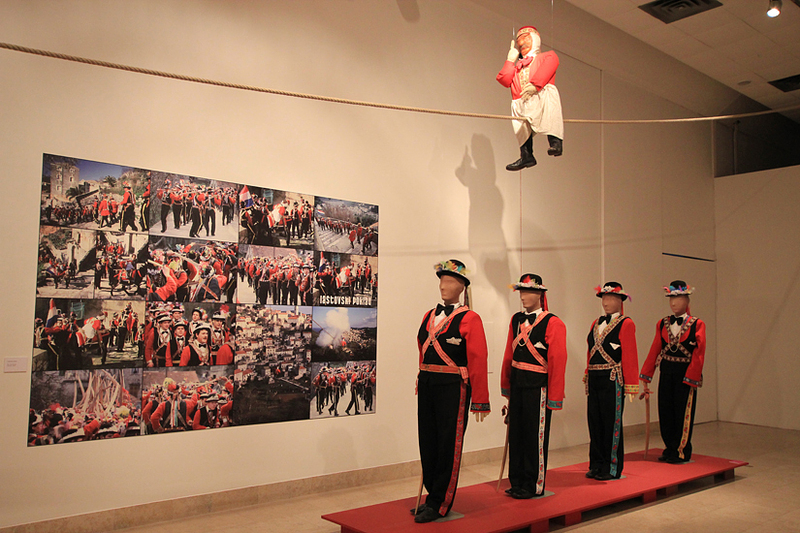 As of today, no less than 40 different groups are busy throughout the time of Carnival – which is signalled by a life-size dummy called “Pust” hanged to a pole near the entrance to the village. 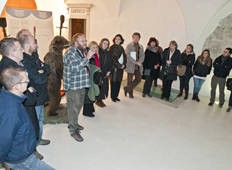 These groups engage in lengthy walkabouts that embrace even the smallest hamlets of the surrounding area. 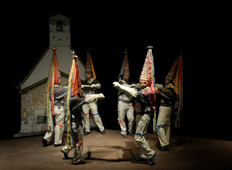 In each one of the villages which are visited, the bell-shaking invaders, lead by a sort of herald which keeps hold of long and leafy bamboo cane, and followed by a small brass band, draw next to each other and gather with great intensity in a spiral that climaxes in a very tight knot of bodies, which suddenly breaks loose, to give way to a village festival proper, and the offering of food and drink to everyone. 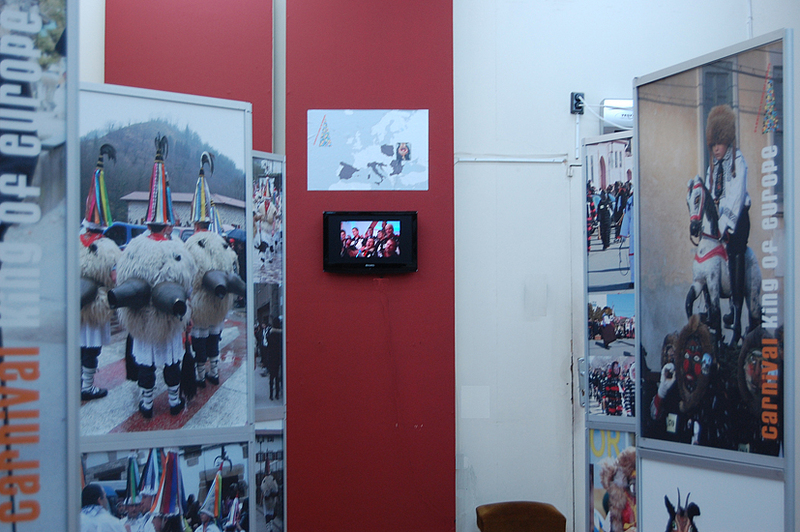 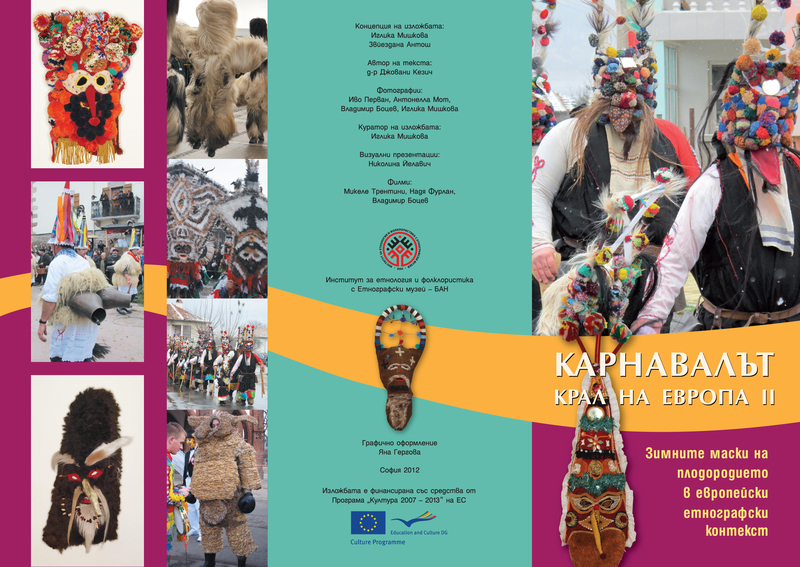 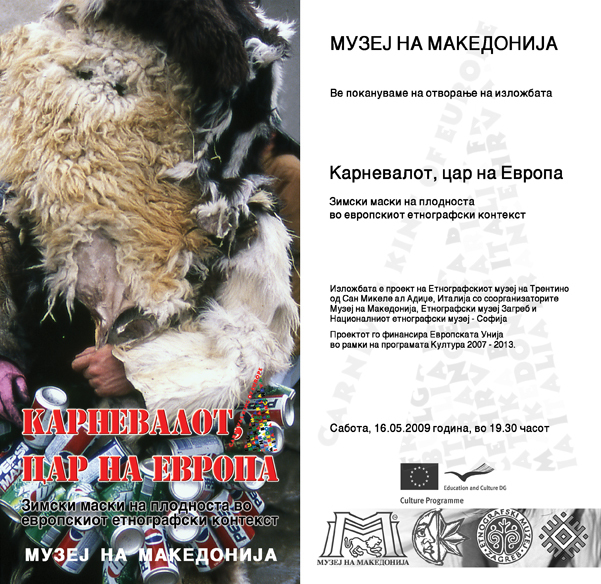 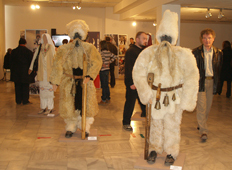 The village of Chelnik near to Jambol, in the middle of the great plains of Thrace, partakes of the tradition of the kukeri, which is widespread in the whole of South-eastern Bulgaria, in connection to the Orthodox carnival. 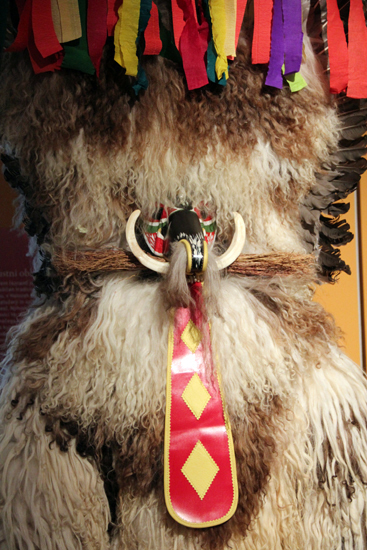 The kukeri are masked youth, completely disguised by a very elaborate costume, followed by some gypsy musicians and by a trail of clownish figures. 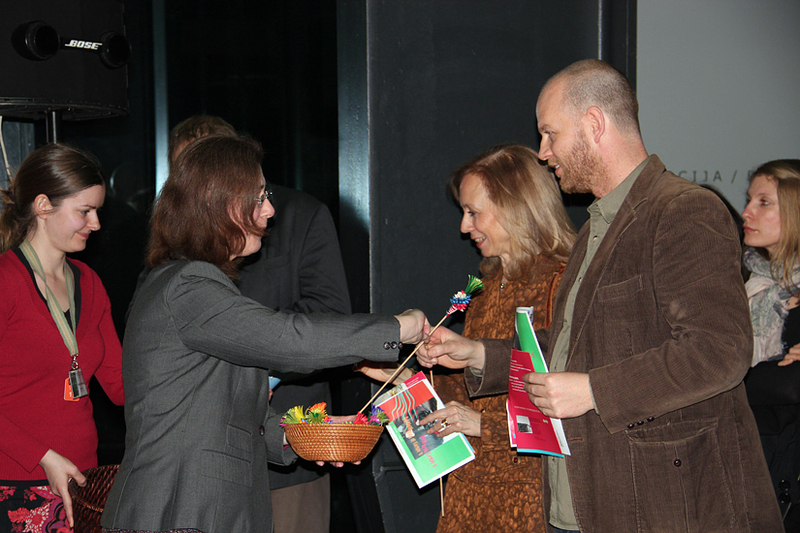 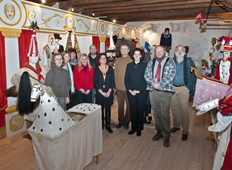 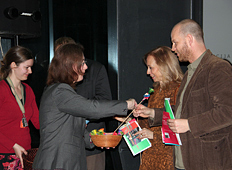 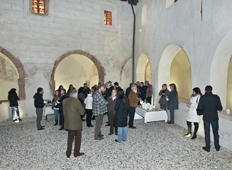 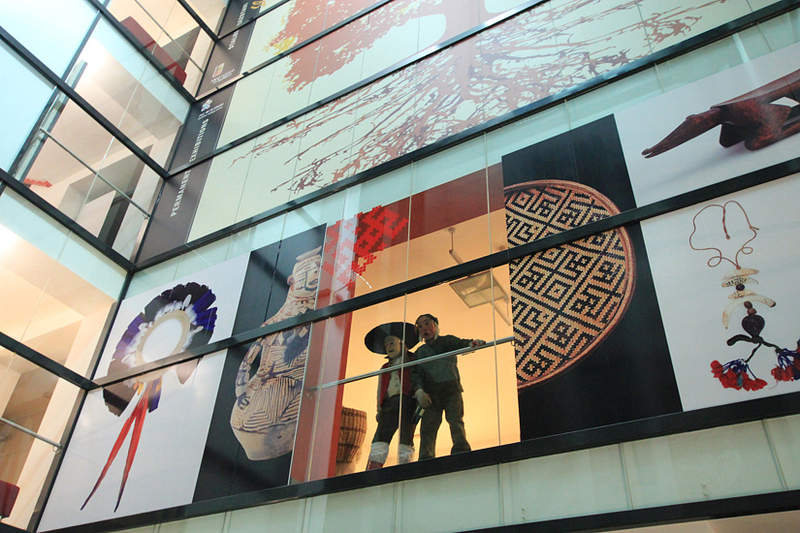 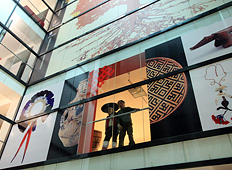 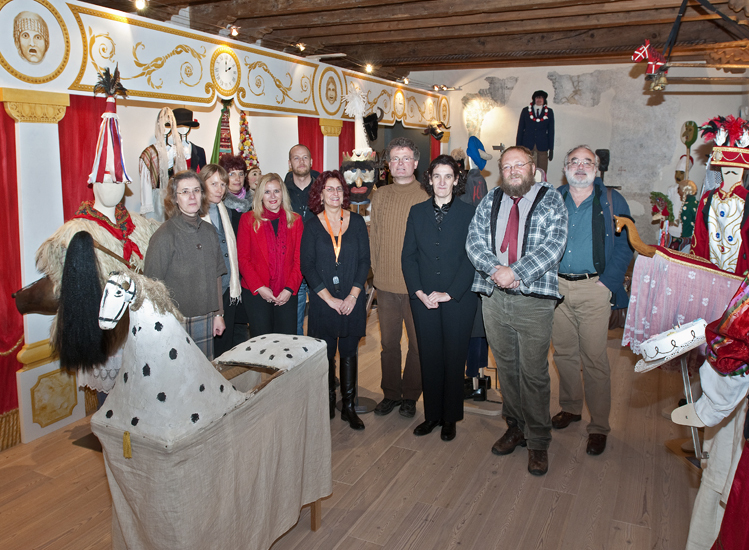 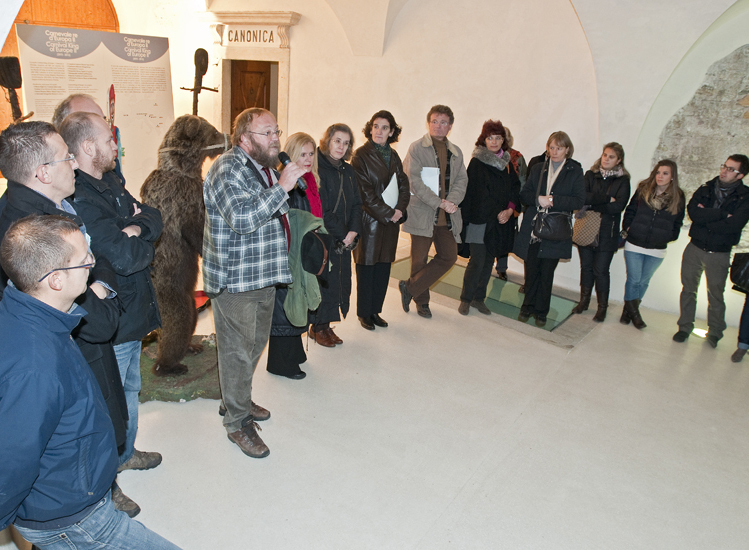 They perform a tour of food collecting that embraces the whole of the village, from mid-morning to dusk. 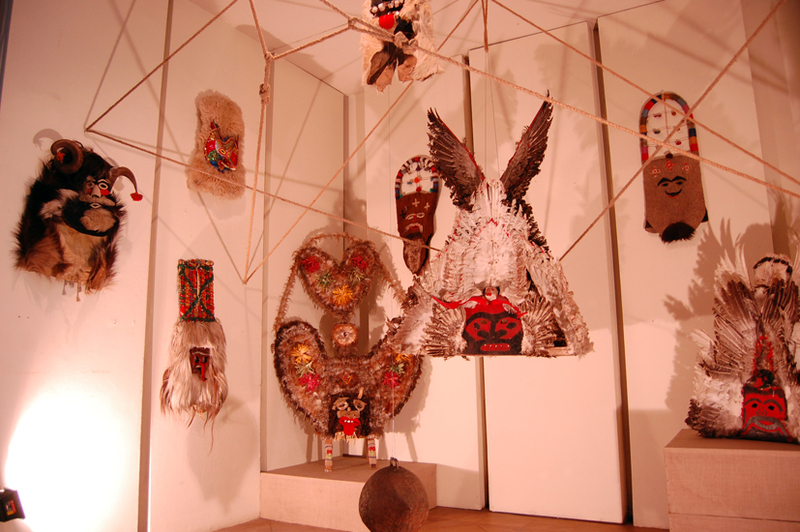 In each of the domestic courtyards which are visited, a dance and some simple rituals of good wish are performed, in exchange for wine, eggs, sweets, sausages, and other foodstuffs. 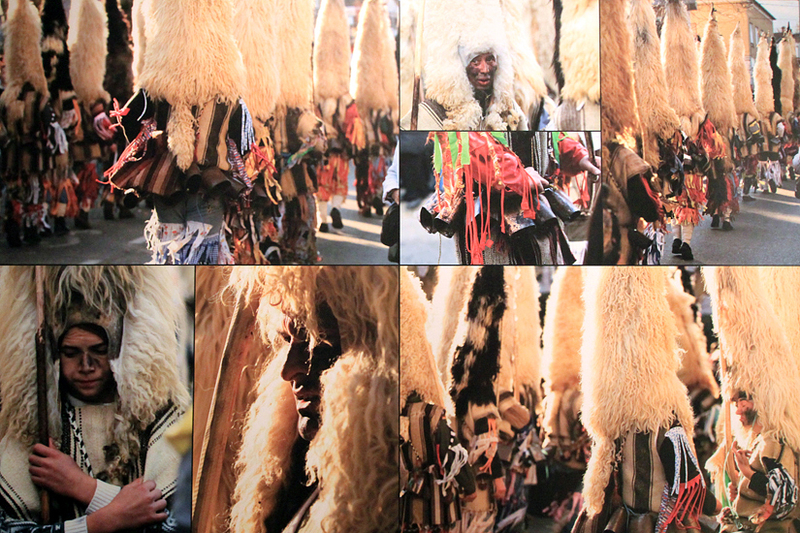 At the end of the day the kukeri gather on the main square, where with a final merry-go-round they define a large ritual circle. 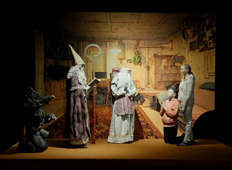 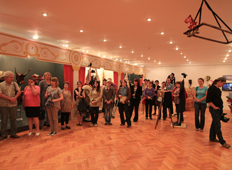 Within the circle, a mock-wedding takes place, with a mock-priest in office (the “Bride” is generally a man). 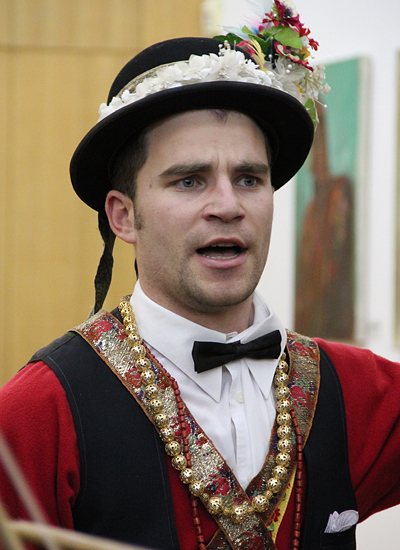 The wedding is followed by the ritual ploughing and the sowing of the square, with the plough pulled by the Bride herself, the clownish parturition of a doll or a live cat, and the uttering of a ritual formula of good wish, which is chanted by the Bride from the top of the upturned plough. 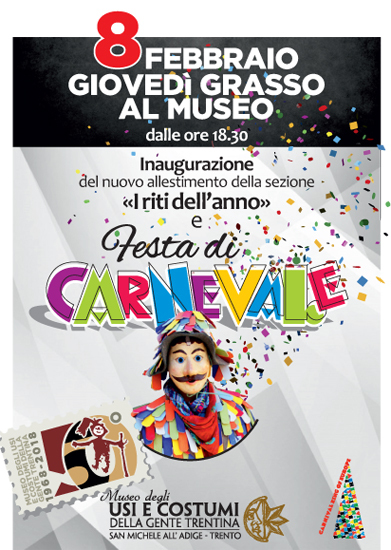 The old Carnival of Valfloriana takes place on the last Saturday before Lent, and takes the form of a very long tour of collection, which from mid-morning to the early evening embraces the ten or so hamlets in which the village is subdivided, from the top to the bottom of the valley. 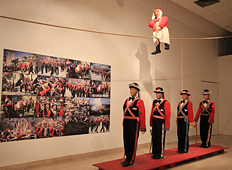 Three distinct types of figures are found in the cortege. 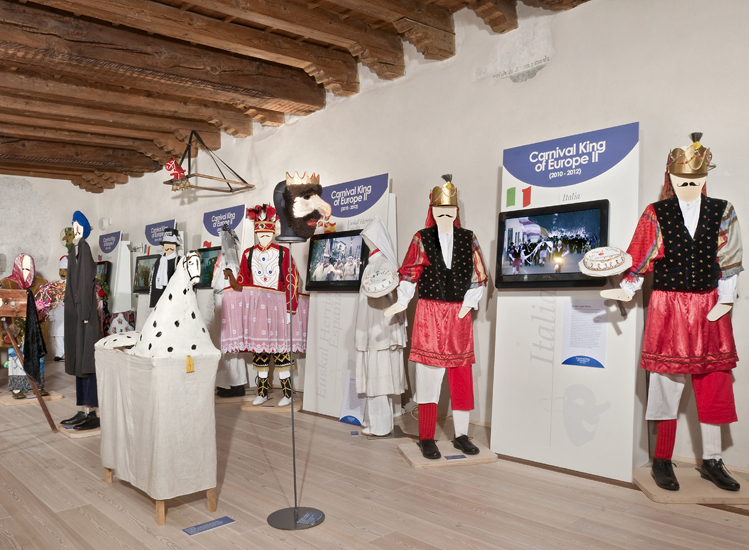 To begin with, the masked matoci or barbi enter the scene, shouting and shaking the bell at their waist, being counteracted by small groups of villagers that engage with them in lively verbal contrasts. 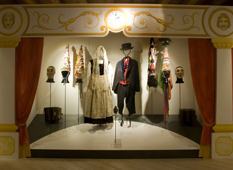 Then, accompanied by the music of a band of accordions, there follows the nuptial cortege proper, with the Bride and Groom, Best man and Bridesmaid, and a whole party of dancing white harlequins, with their typically high conical mitre. 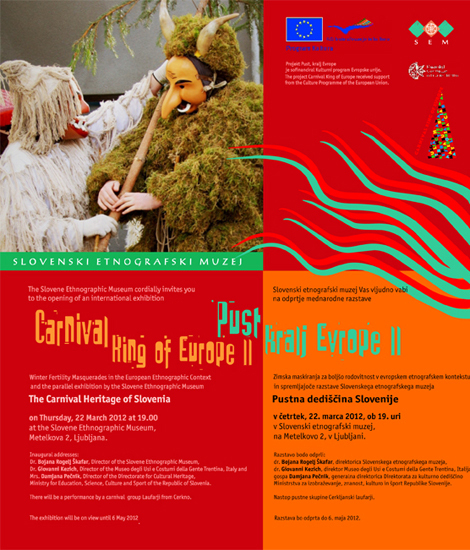 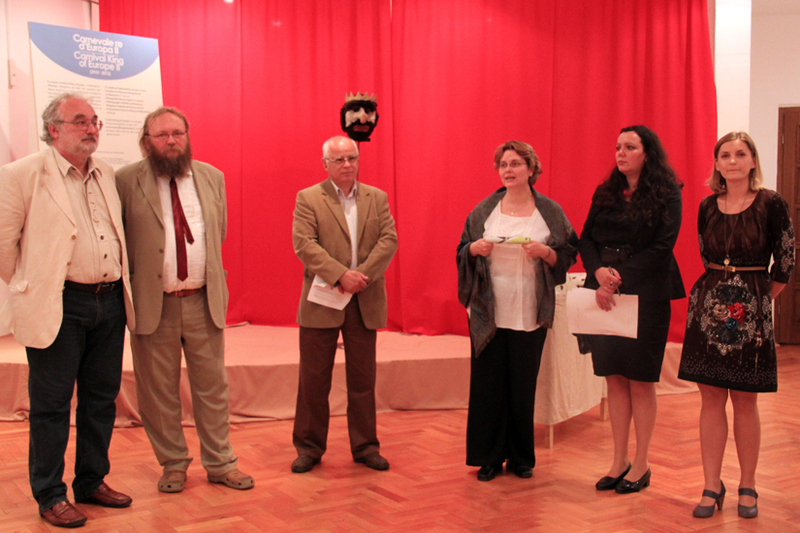 Finally, the paiaci or clowns stage their own sequel of silent burlesque pantomimes. 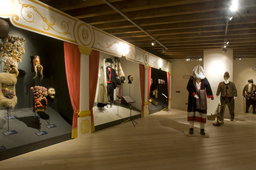 This sequence of three different stages is repeated in the very some order in each one of the hamlets which are visited, where the entrance of the mummers is greeted with offering of wine, doughnuts and other foodstuffs. 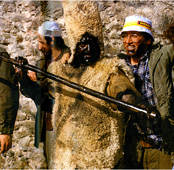 Also in Prats-de-Mollo-la Preste, in the French Catalunya, Carnival is announced by the invasion of frightful and wild creatures: the so-called “Bears” dressed up in fleece, with a long conical headpiece made of sheepskin, their faces and forearms blackened with greasy charcoal sap, and a long black stick in their hands. 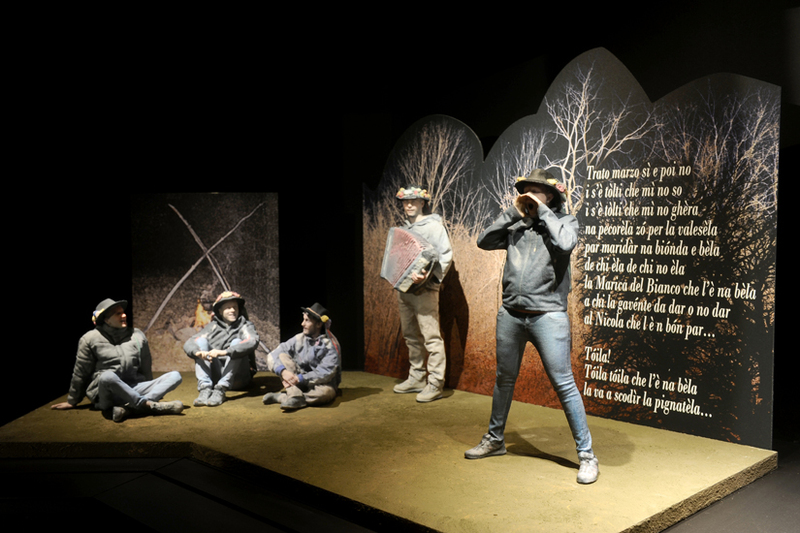 Thus made up, The Bears throw themselves from the heights of the woodland, chasing the villagers, which they try to grab and soil with their blackened hands. 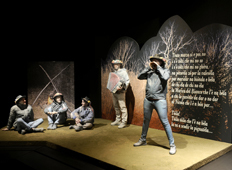 Their entrance to the village, however, is counteracted by some “Hunters” which try to capture them, and mime their surrender and capture by shooting blank rifle-shots. 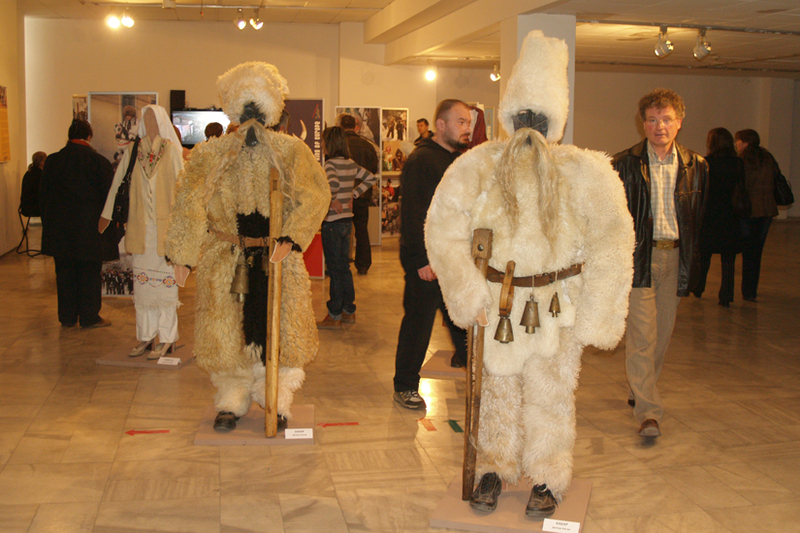 At this point, there enter the Men-in-white, that is the “Barbers”, carrying long chains as to harness The Bears, as well as some hand-axes and wine-jugs. 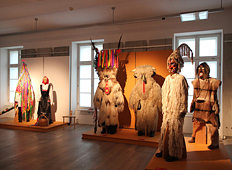 Having chained The Bears, these are driven on the main square where, with wine and the blades of the hand-axes, their ceremonial “shaving” is performed. 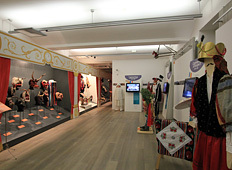 Only at this moment dancing begins and thus “Carnival” proper, which will be continued with its own burlesque figures for the rest of the day.